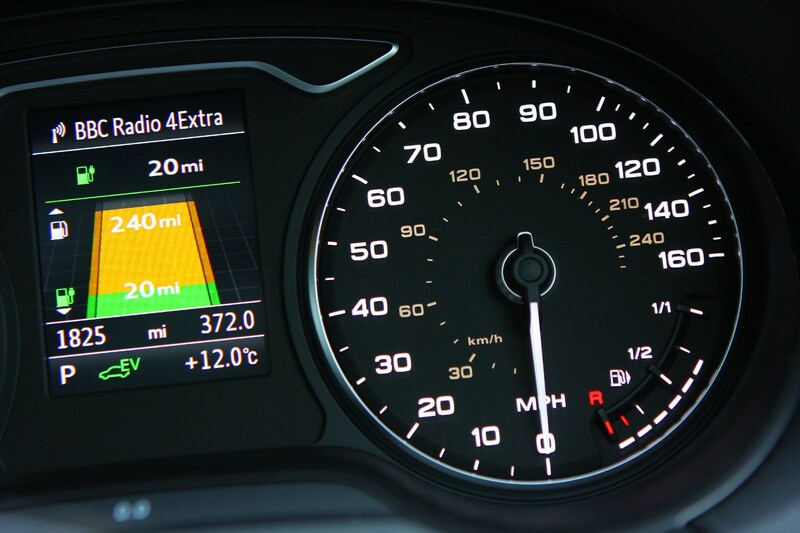 Insurance group: 14 - 46 How much is it to insure? 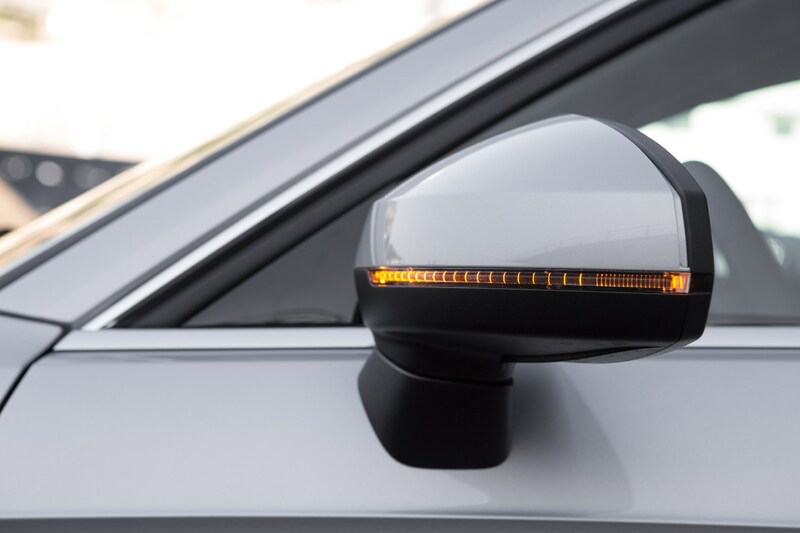 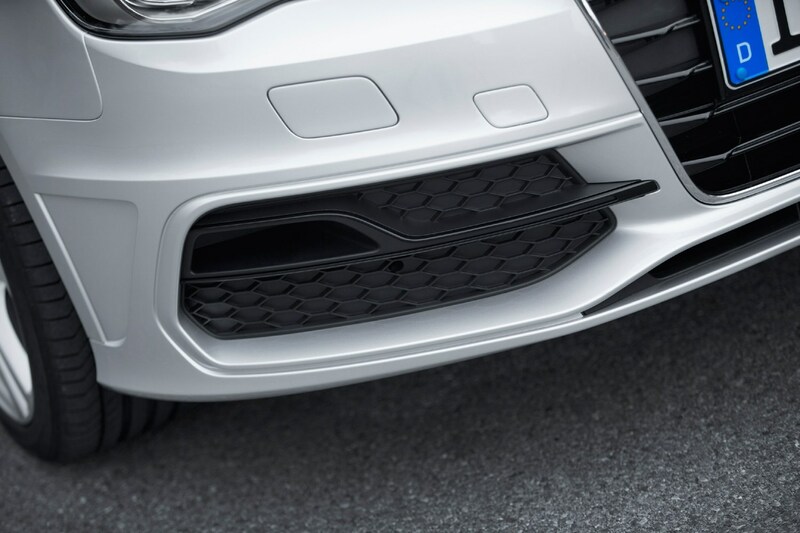 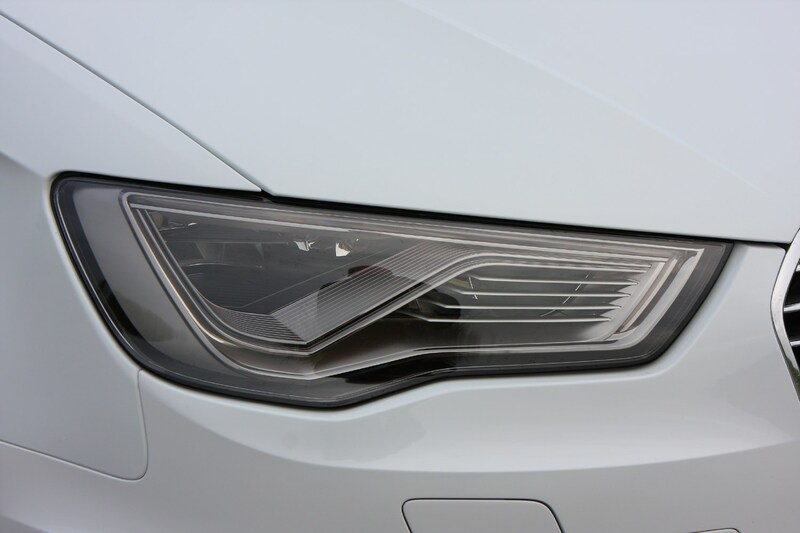 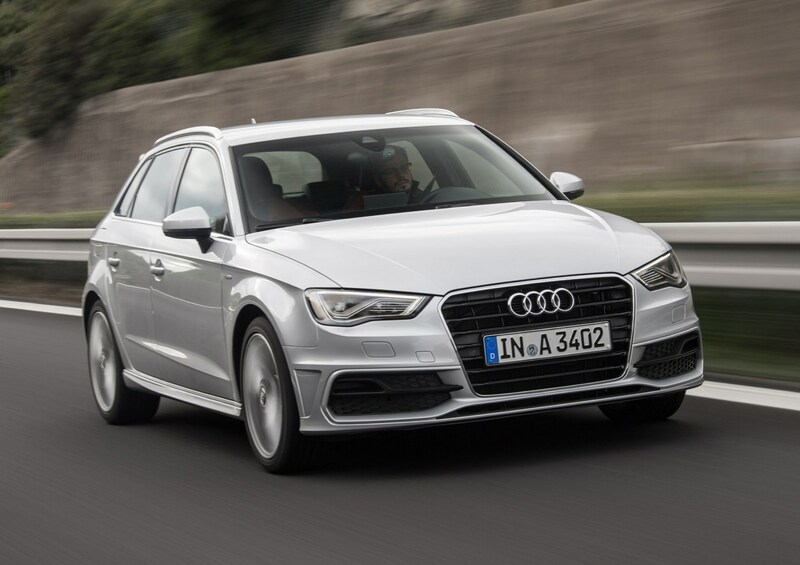 The Audi A3 is a premium family hatchback that competes for sales with the BMW 1 Series, Mercedes-Benz A-Class, Volvo V40 and in-house rival Volkswagen Golf. 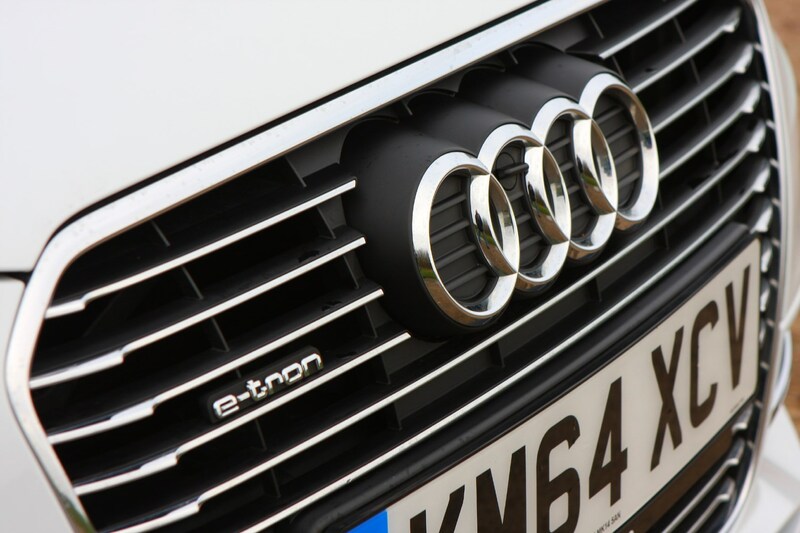 It comes with a vast engine range with petrol, diesel, plug-in hybrid and high-performance models available in a range of familiar Audi trim levels - meaning there should be something to suit almost every kind of taste and desire. 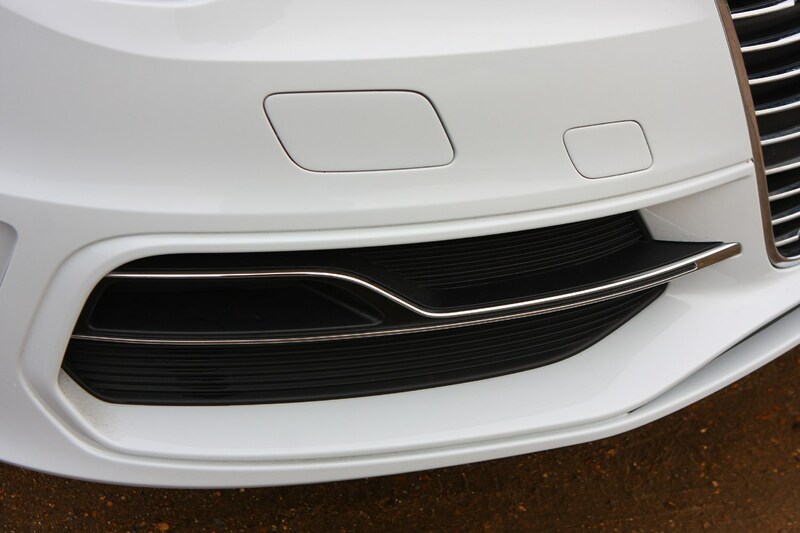 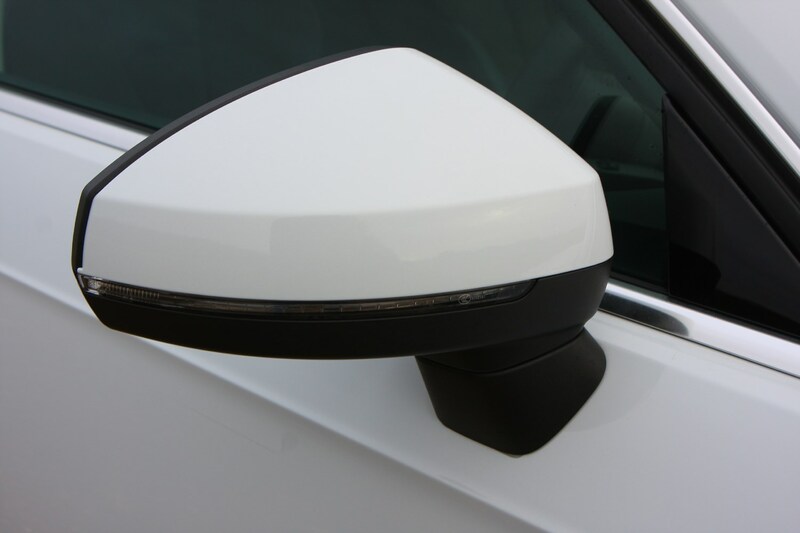 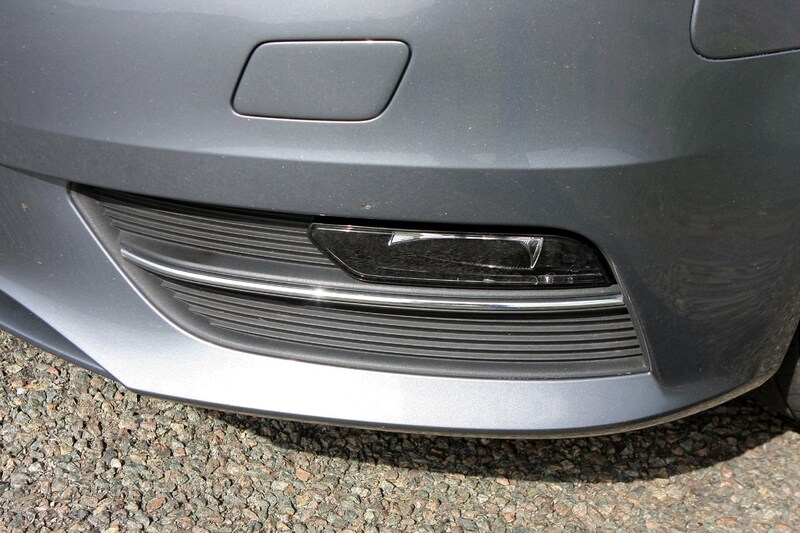 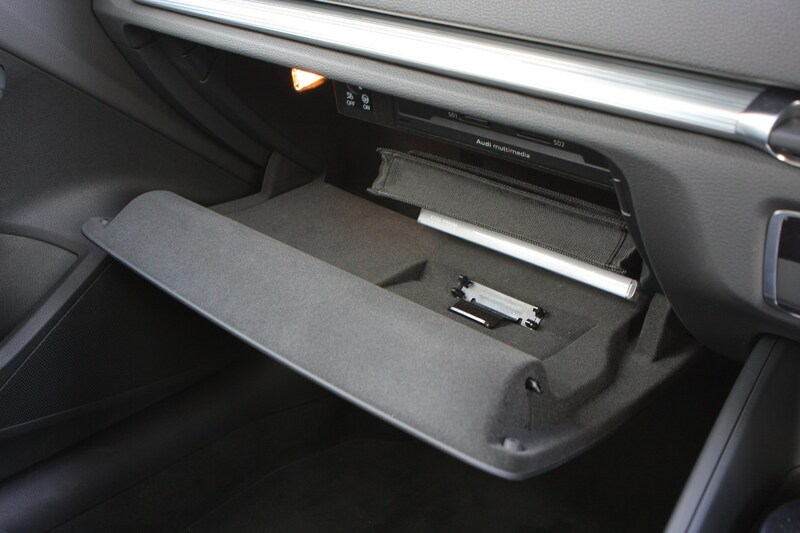 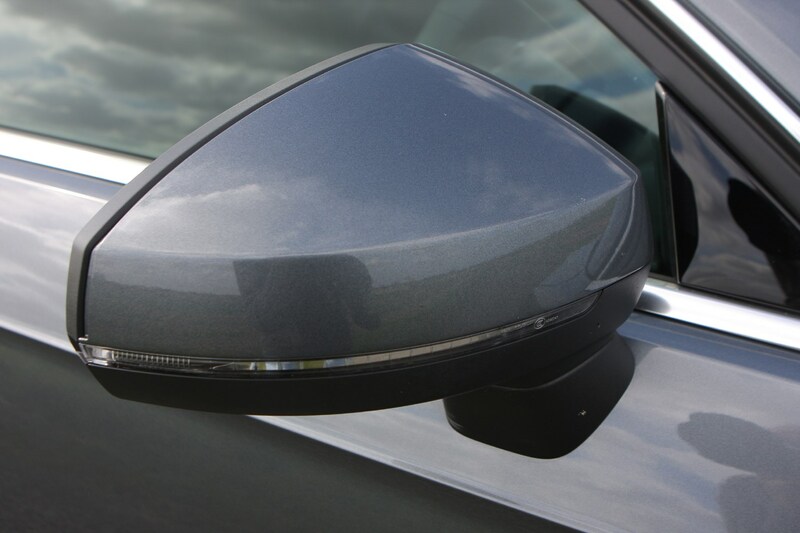 Buyers also get a choice of alternative body styles. 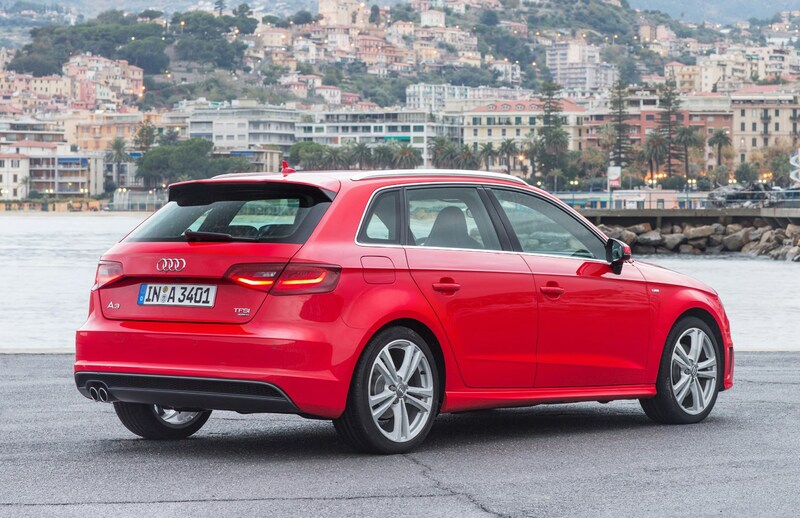 There's the five-door Sportback (the most popular model), the four-door A3 Saloon, the A3 Cabriolet and the three-door A3 that went out of production in 2018. 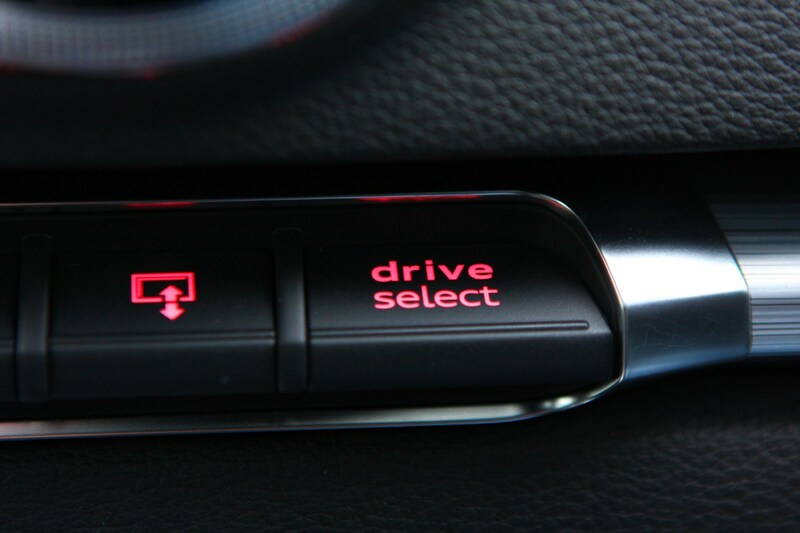 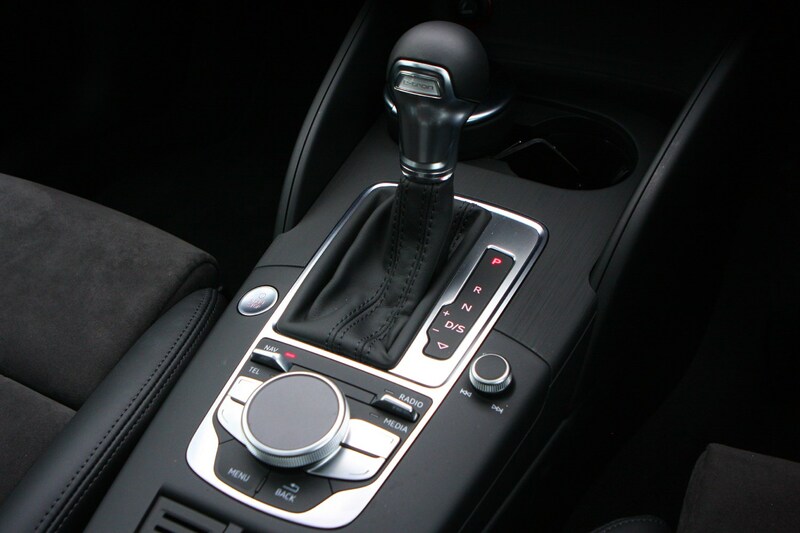 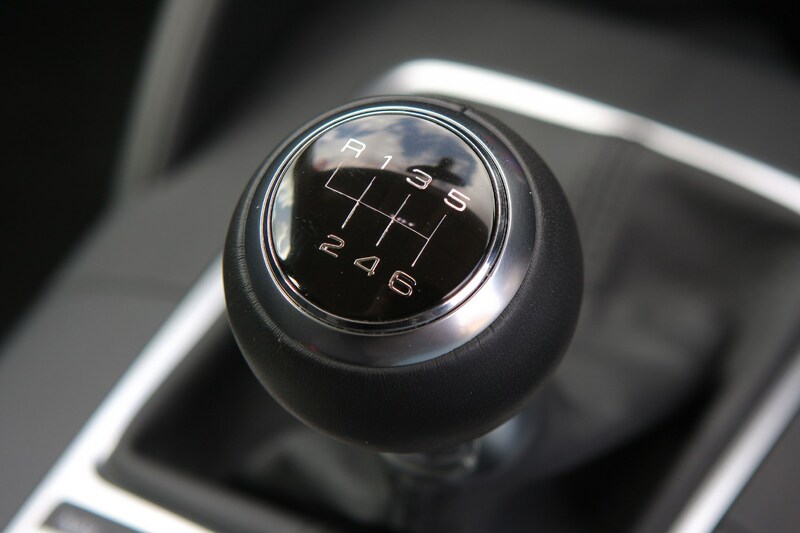 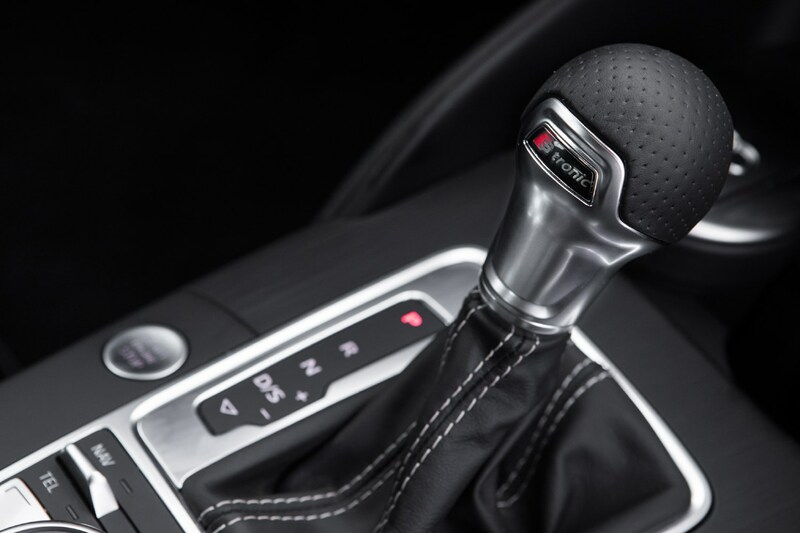 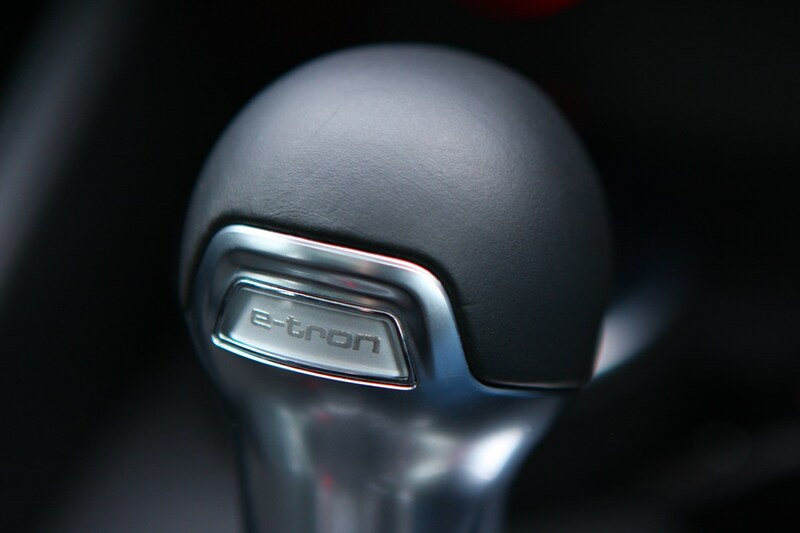 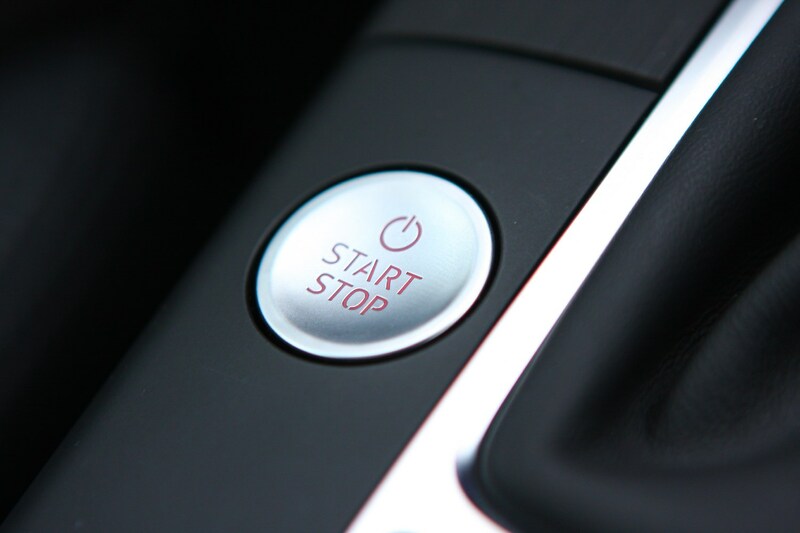 A choice of slick manual and smooth S Tronic automatic gearboxes are available across the range, while Quattro all-wheel drive is also an option on particular models. 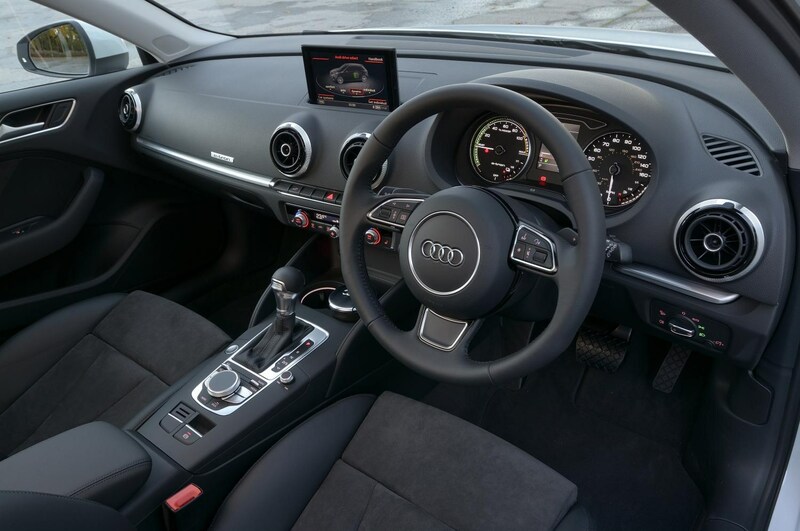 Badge appeal aside, one of the A3’s biggest strengths is its simple, classy, high-quality interior with slick dashboard and ergonomic design. 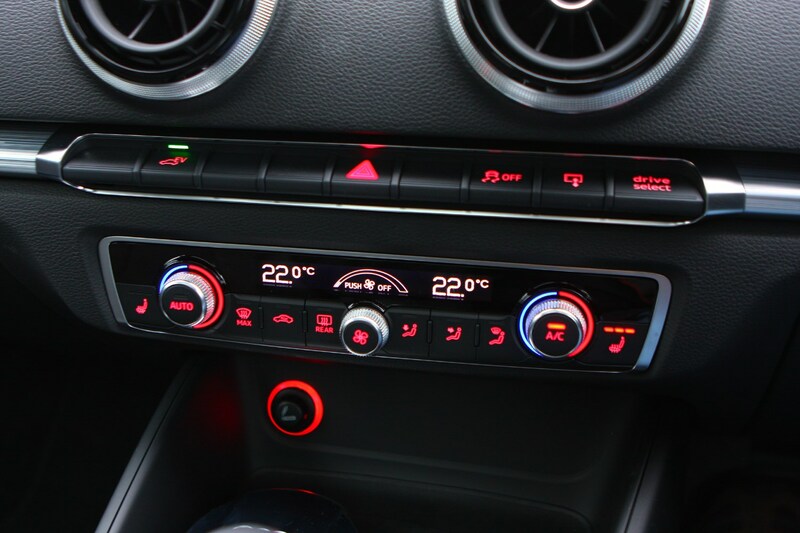 It still feels bang up to date despite debuting back in 2012. 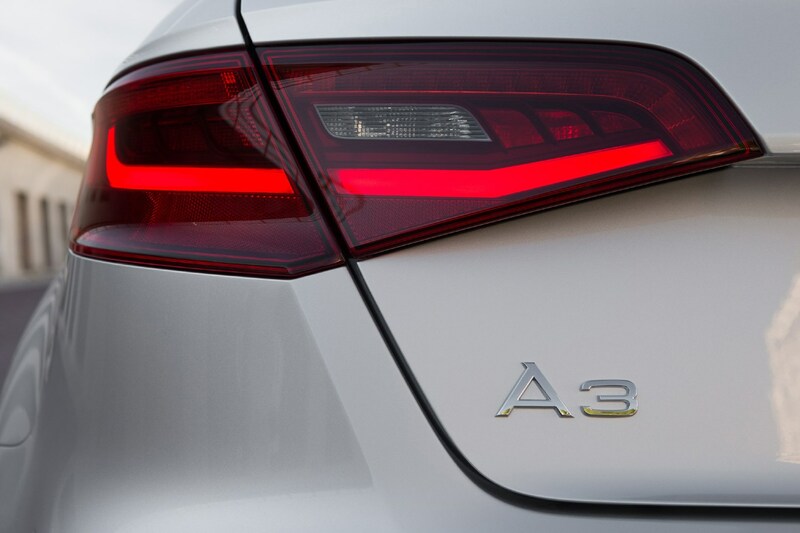 Audi offers a wide selection of engine options for the A3, consisting of petrol and diesel, as well as a plug-in hybrid. 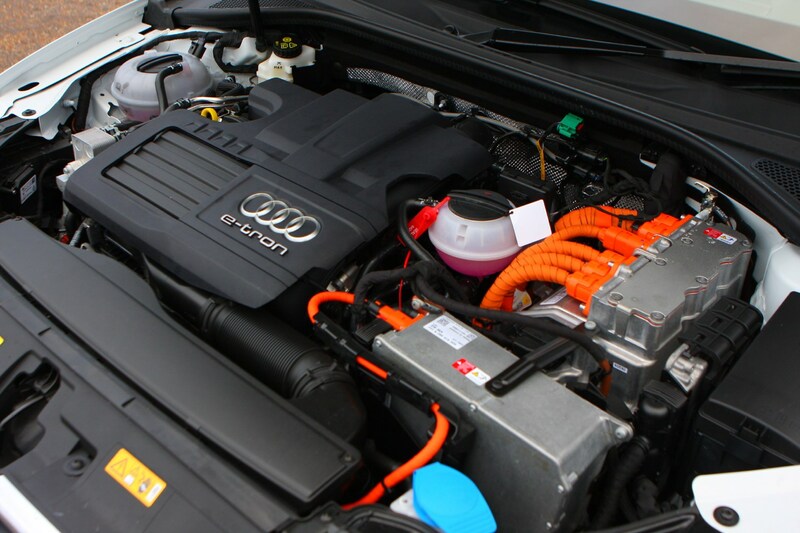 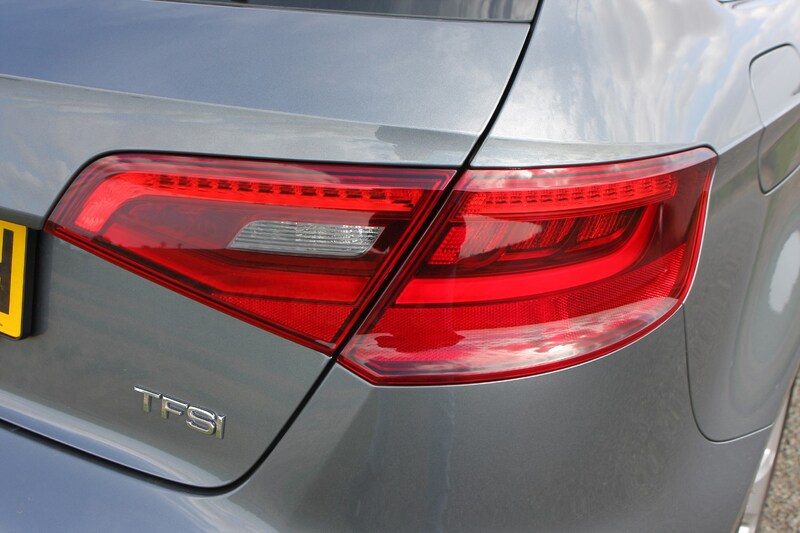 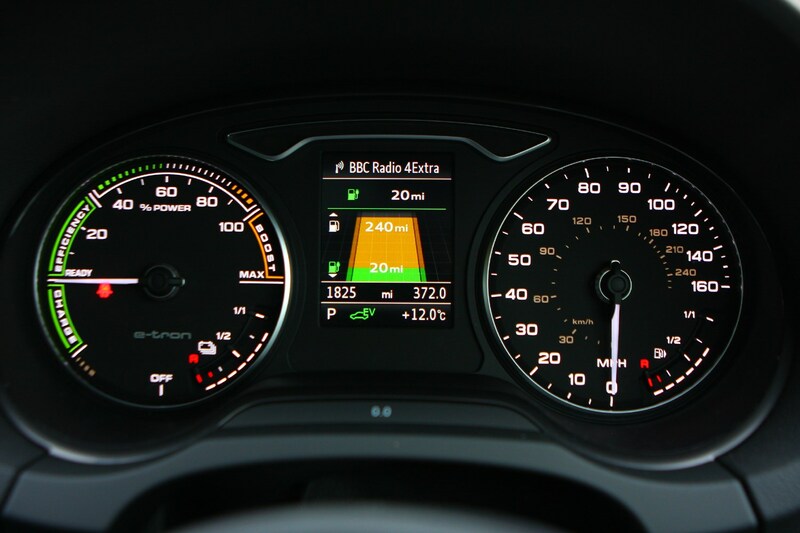 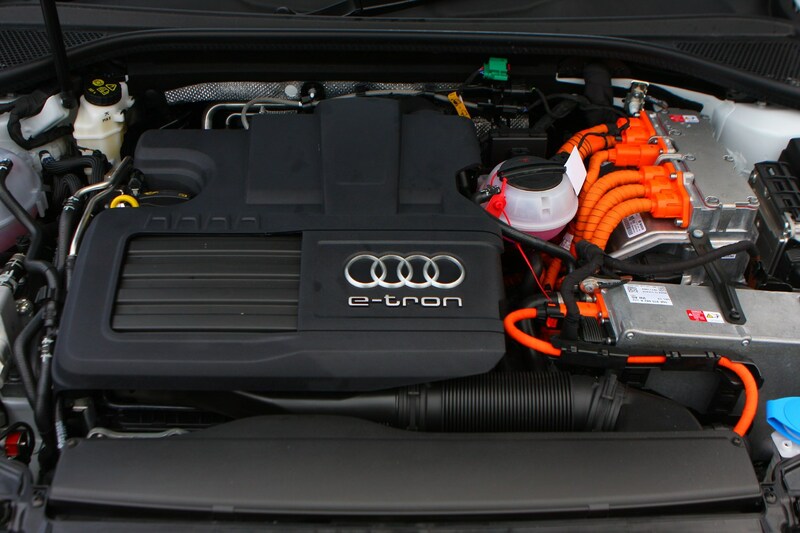 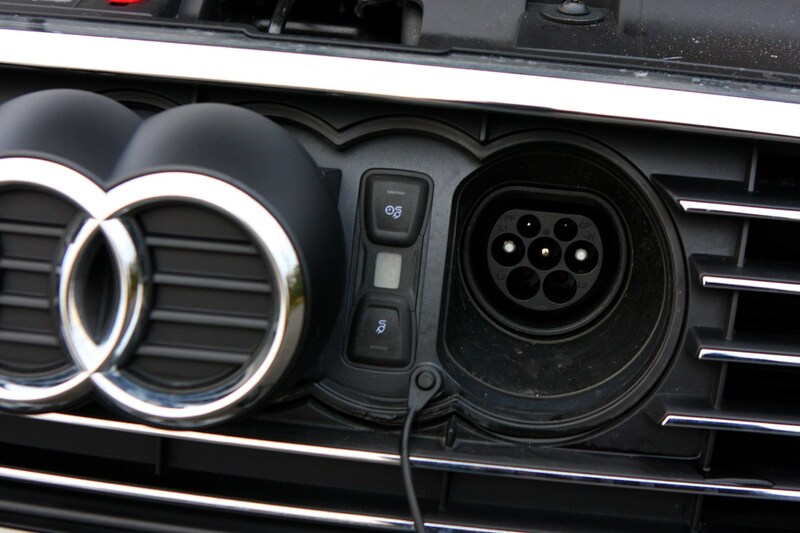 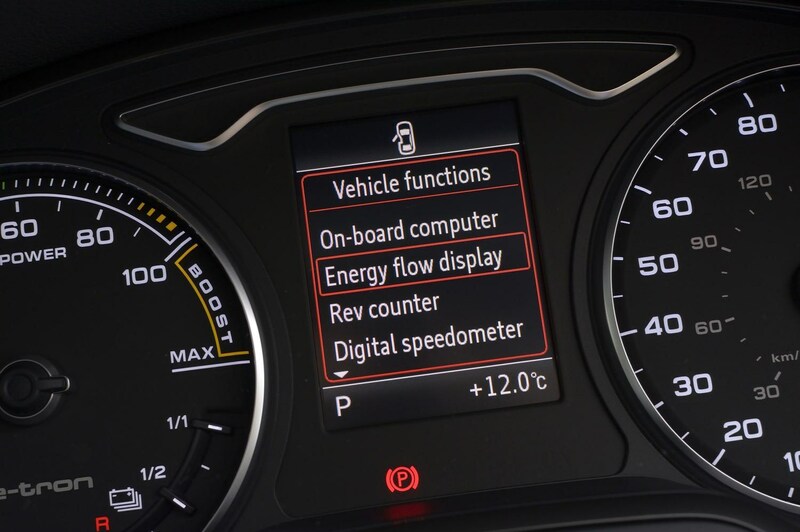 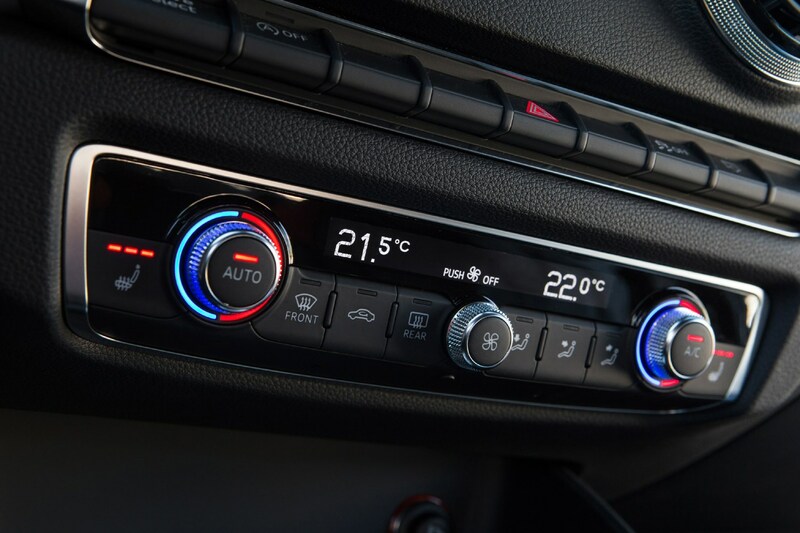 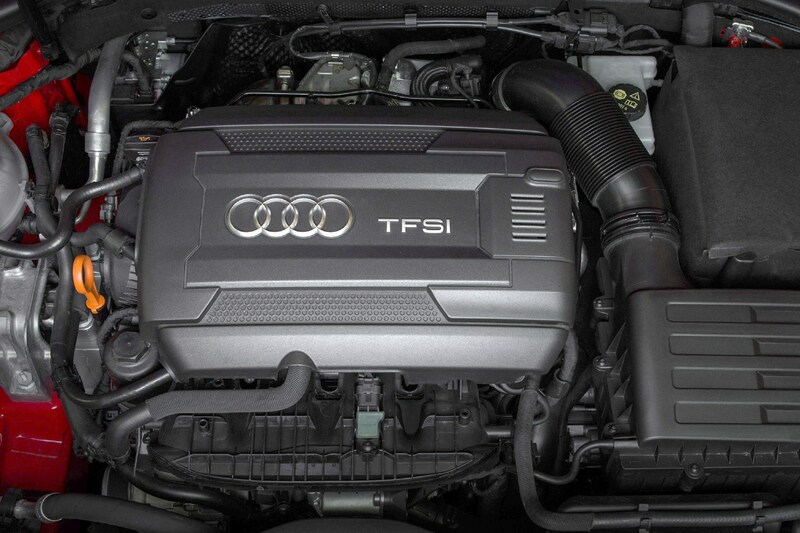 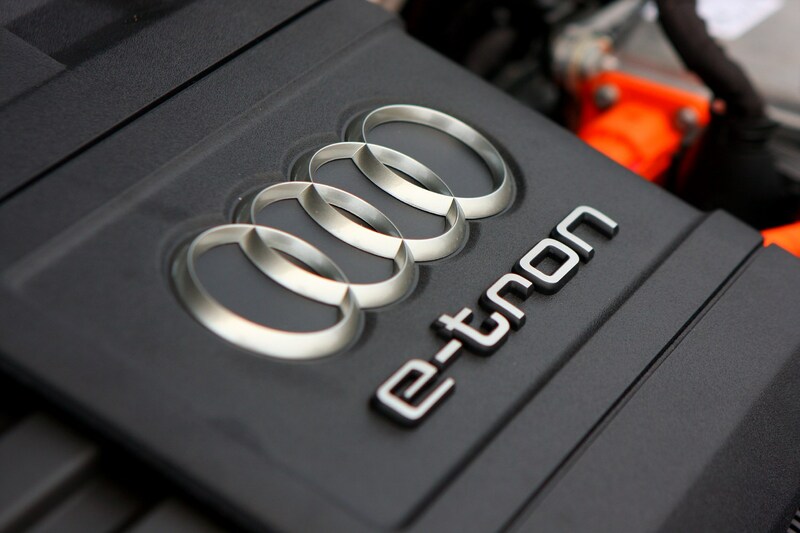 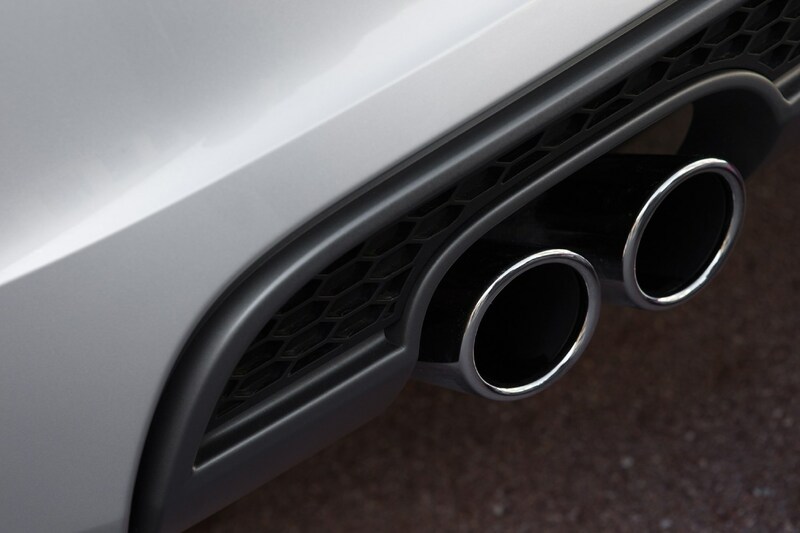 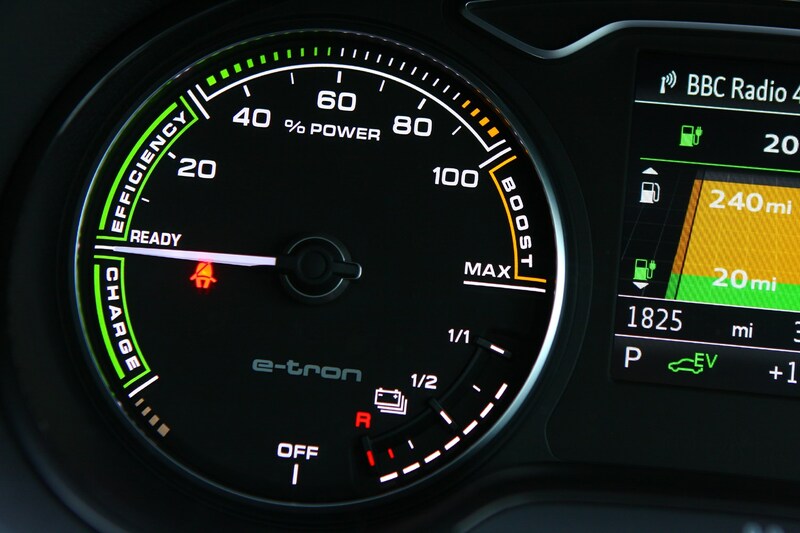 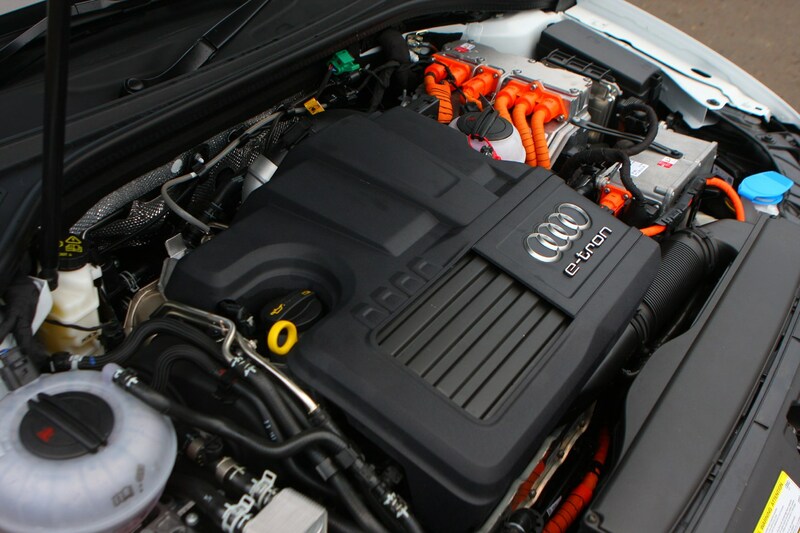 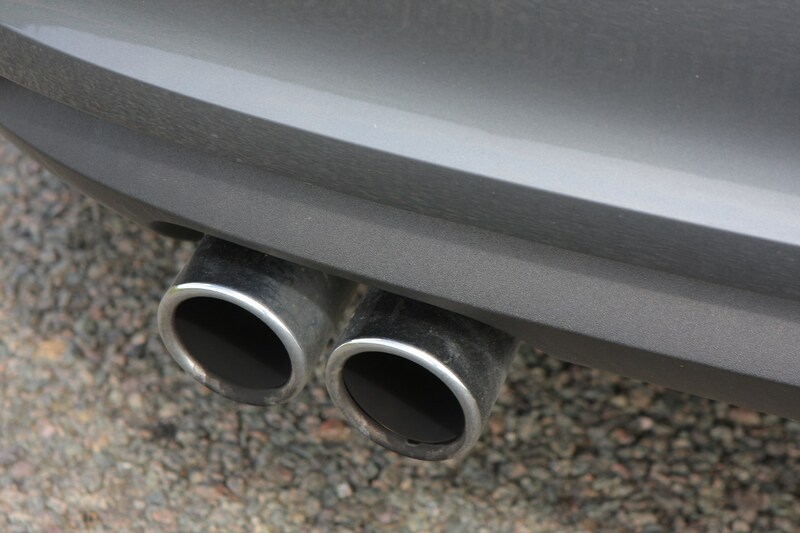 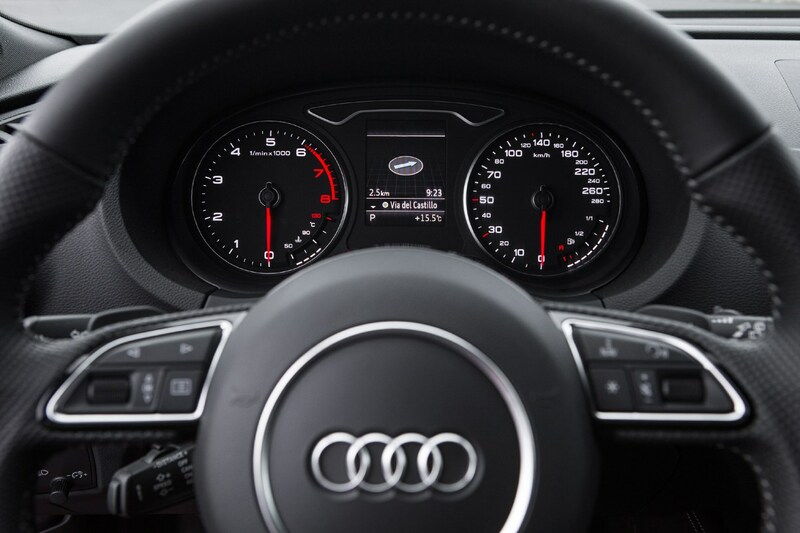 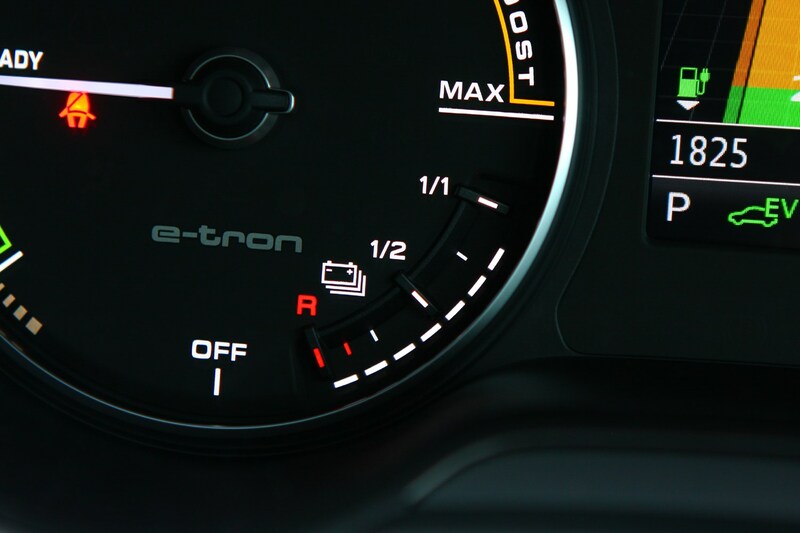 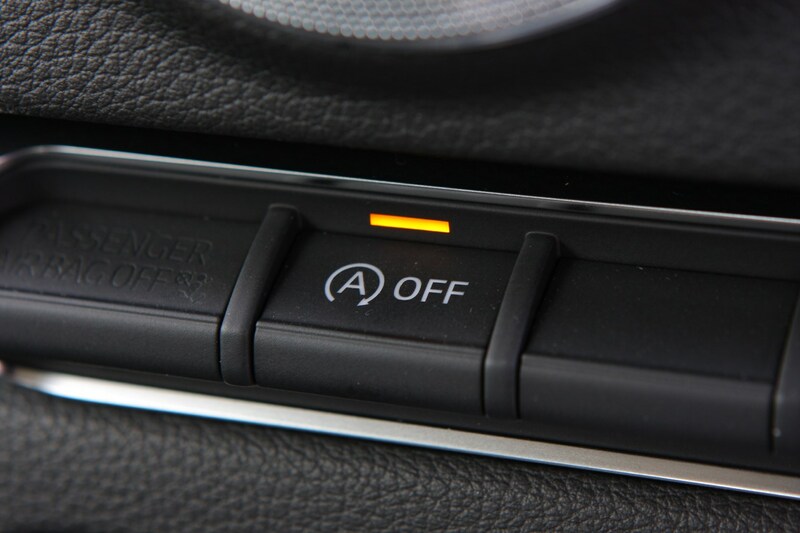 Providing petrol power is a choice of 1.0-litre TFSI three-cylinder, 1.5-litre TFSI four-cylinder and 2.0-litre TFSI petrols, all of which are turbocharged with the choice of manual and automatic transmissions. 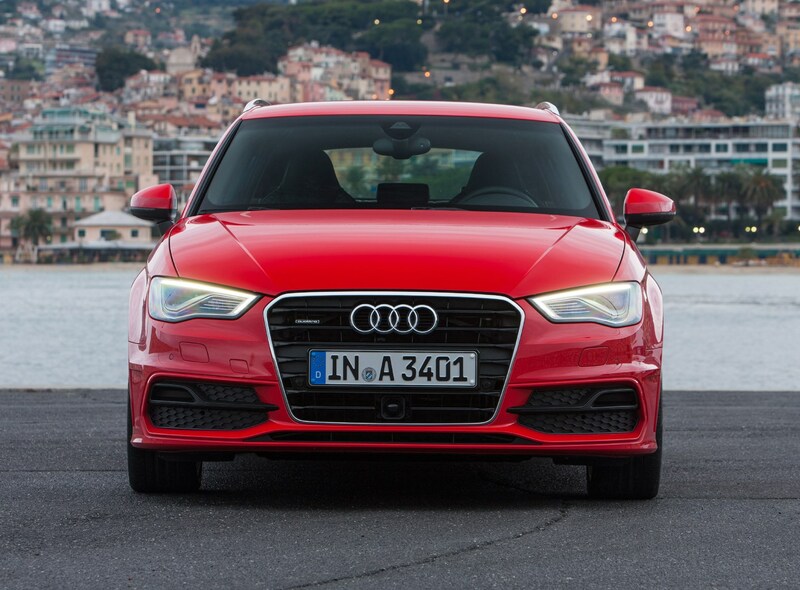 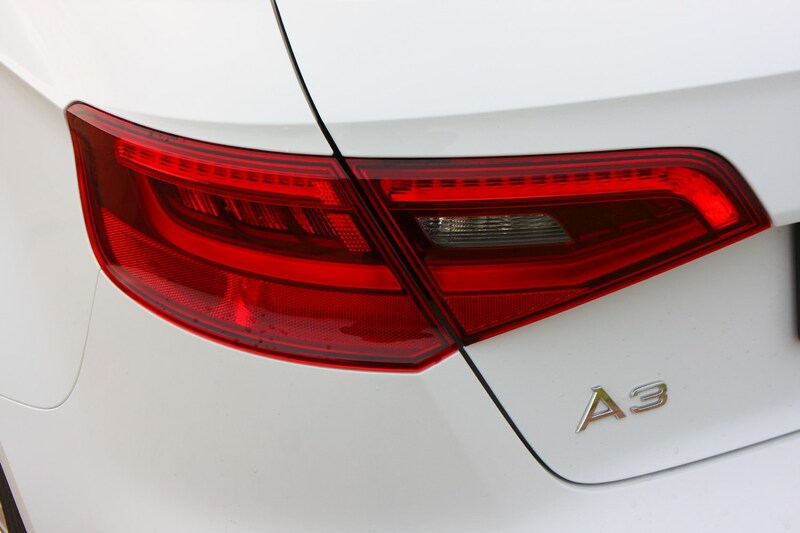 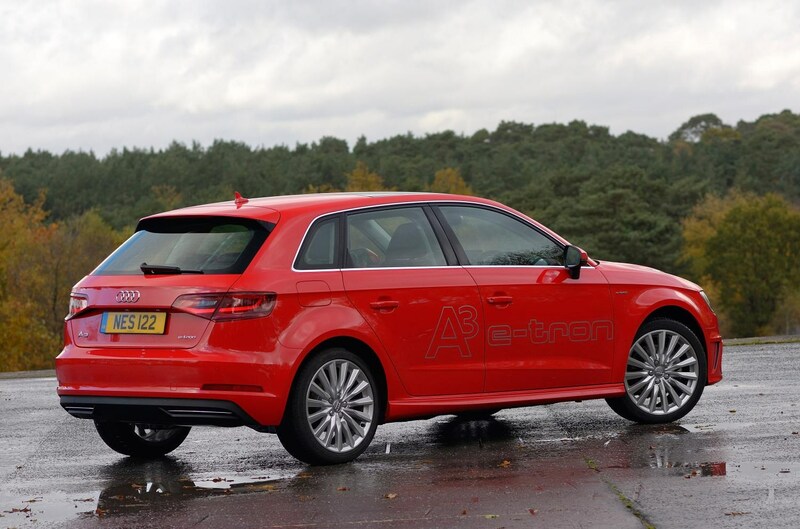 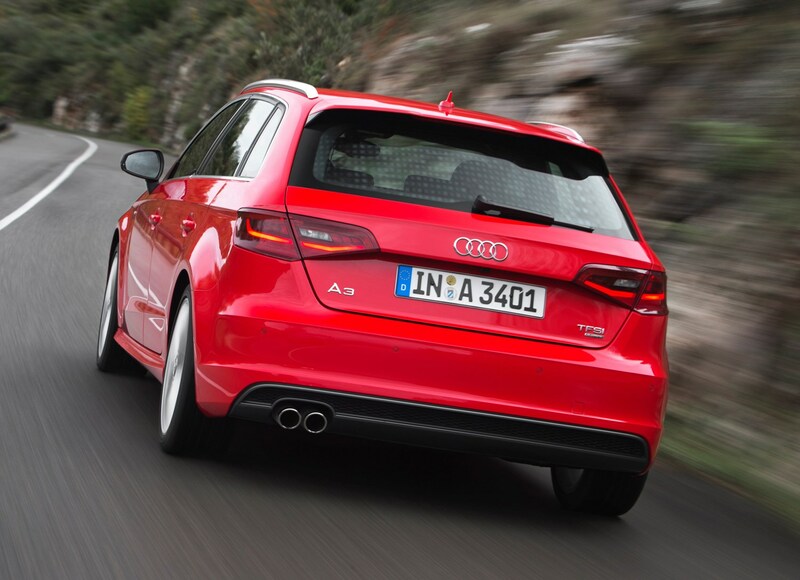 Then there are S3 and RS 3 performance versions if you want a more potent A3 Sportback. 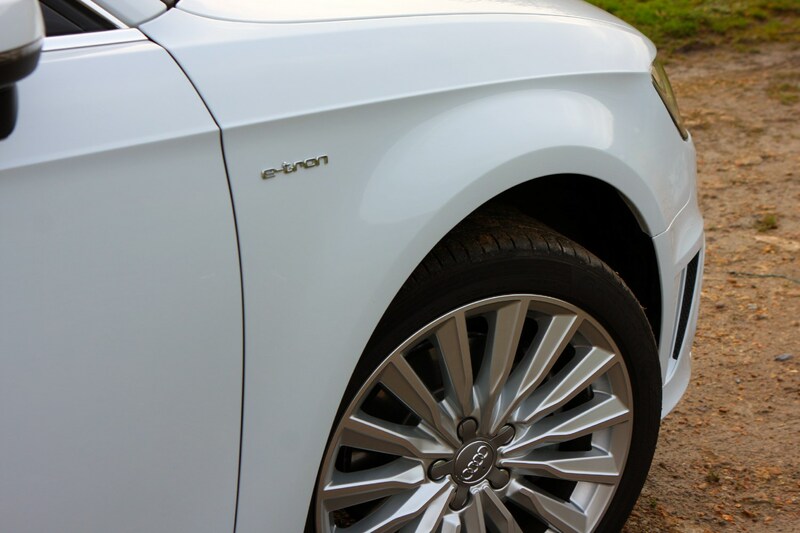 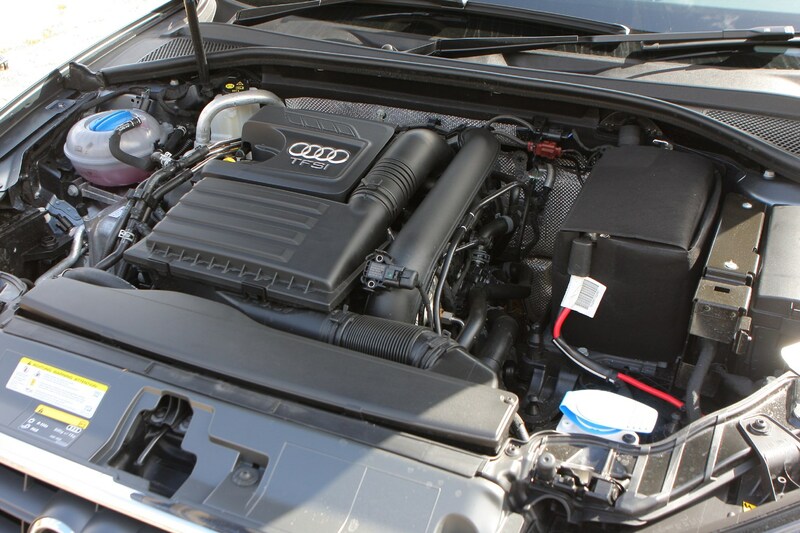 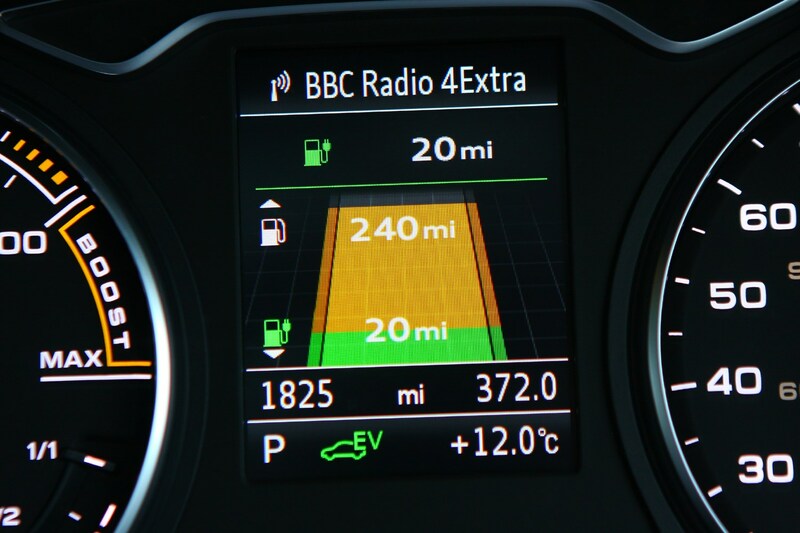 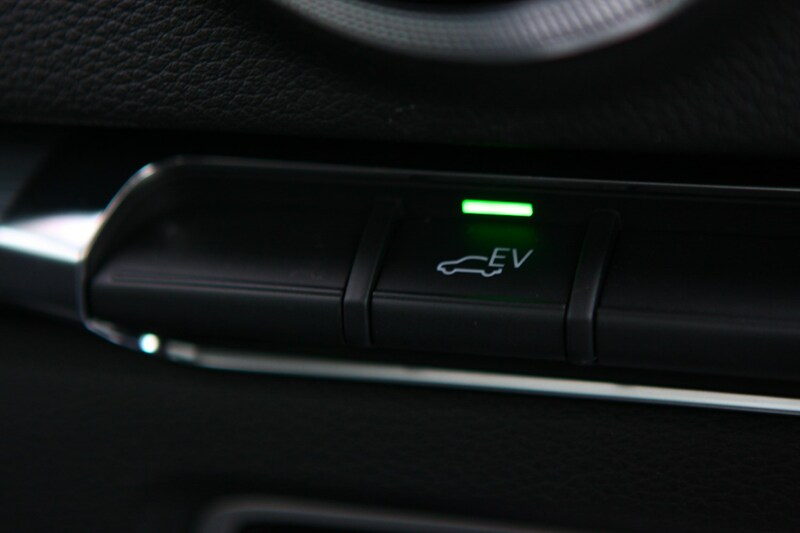 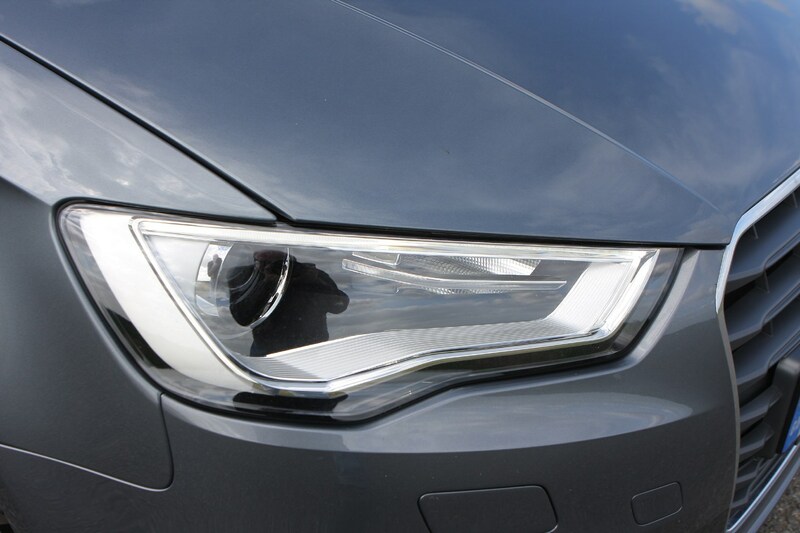 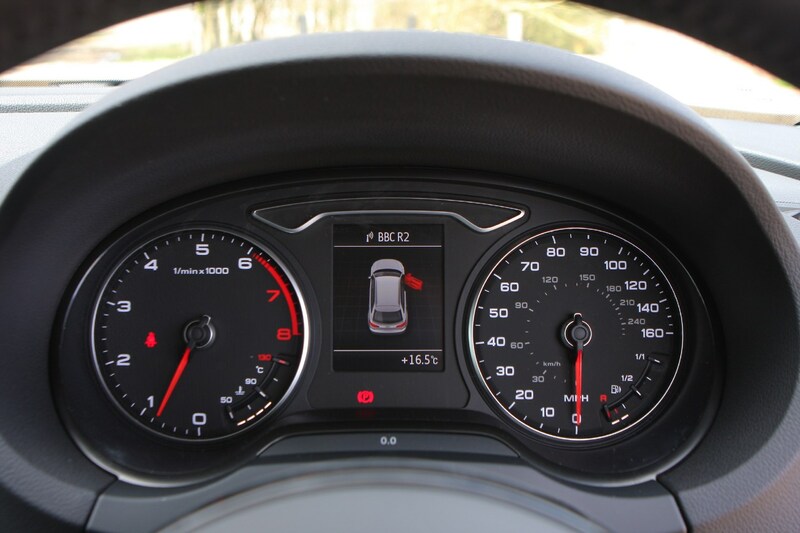 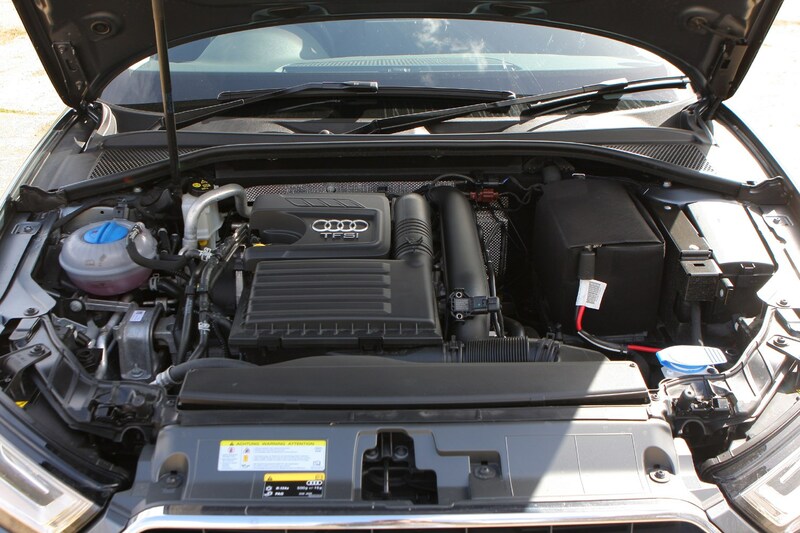 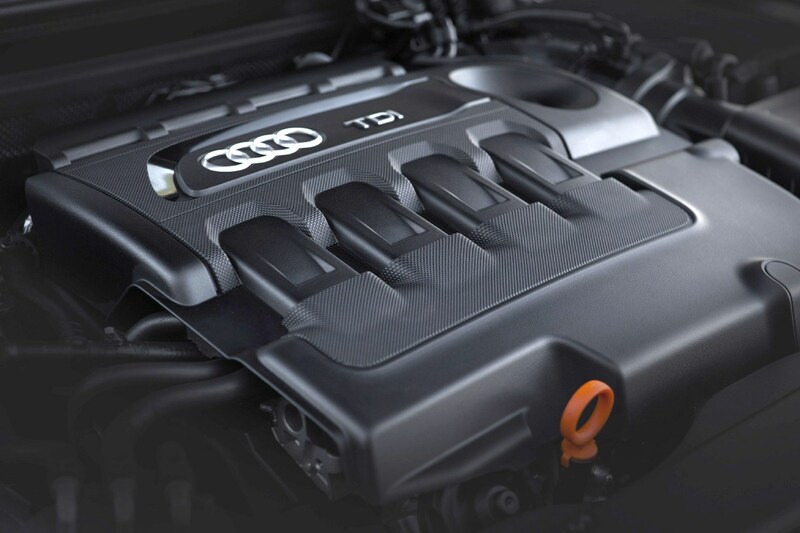 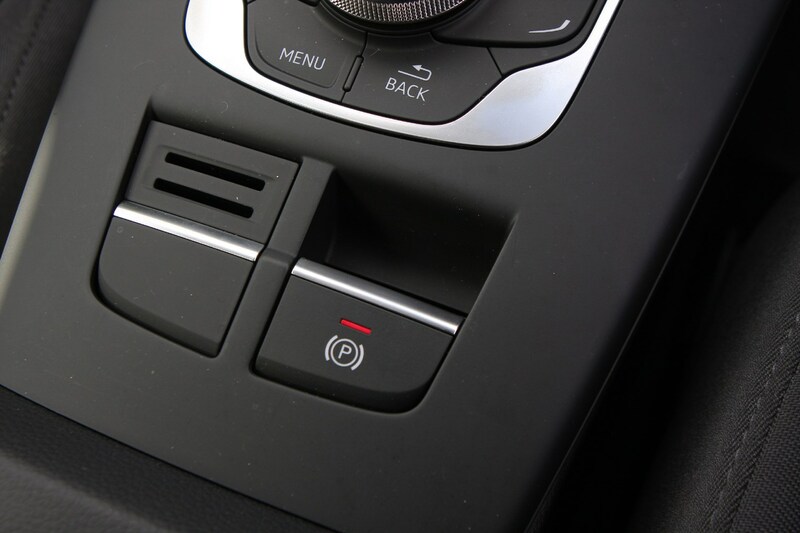 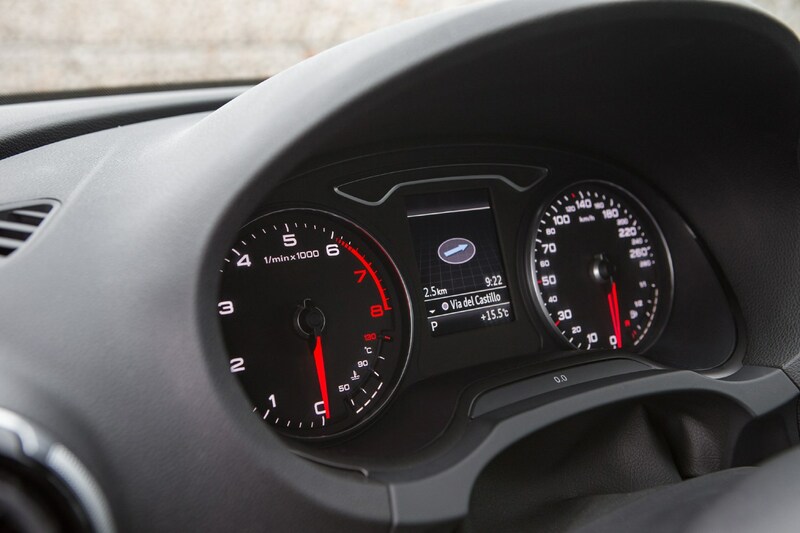 Diesel power is provided by a familiar choice of 1.6 and 2.0-litre TDI units, with 116, 150 and 190hp respectively. Again, Quattro all-wheel drive and a choice of transmissions are available. 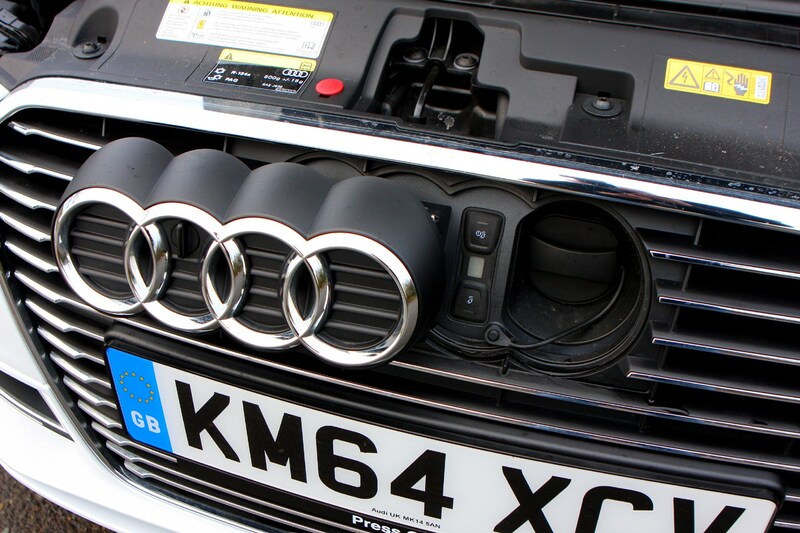 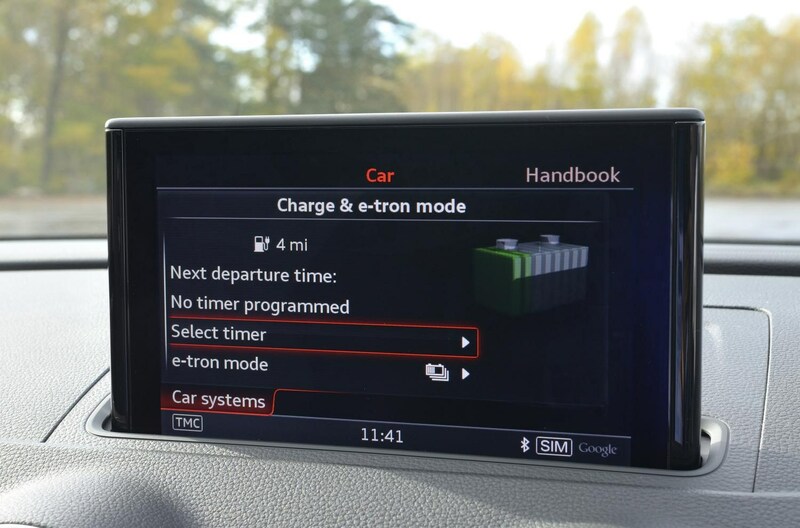 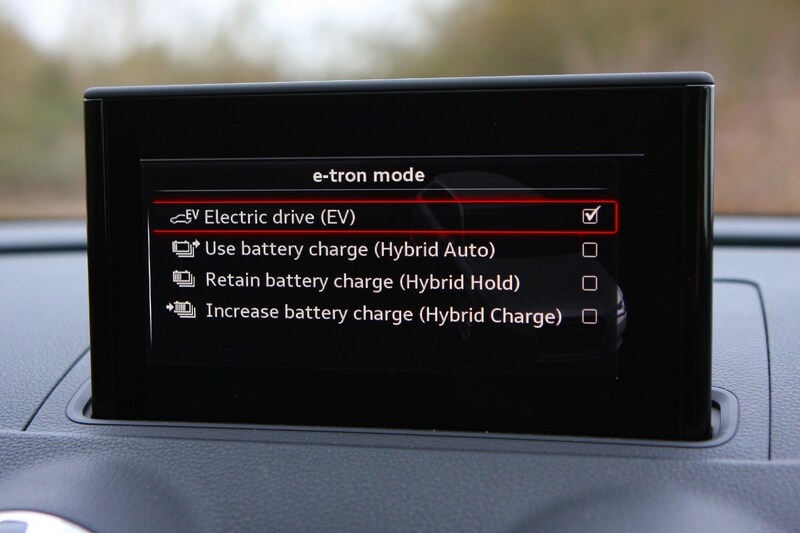 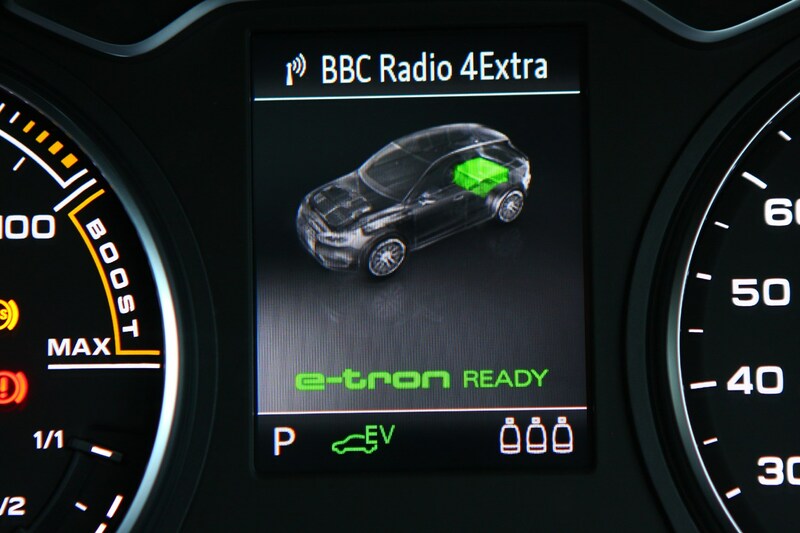 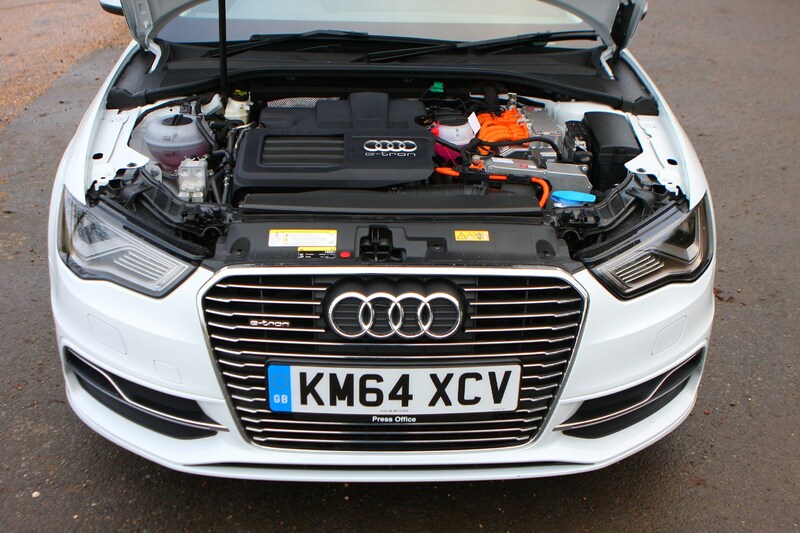 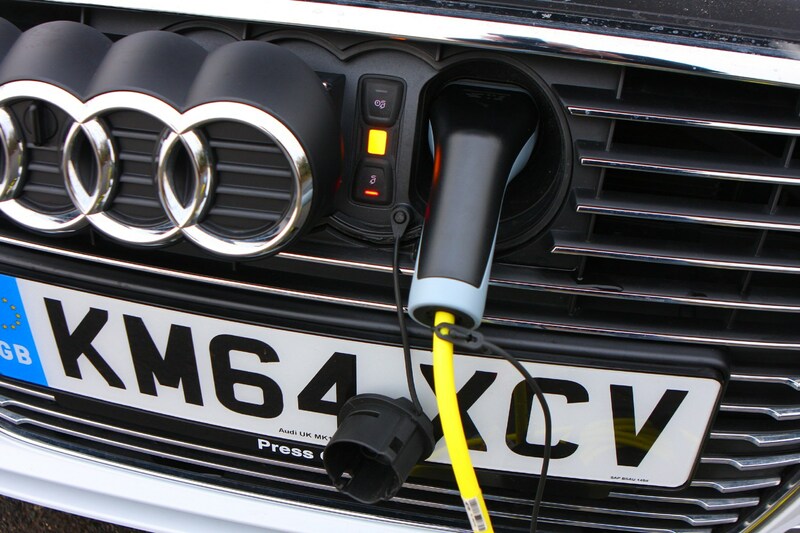 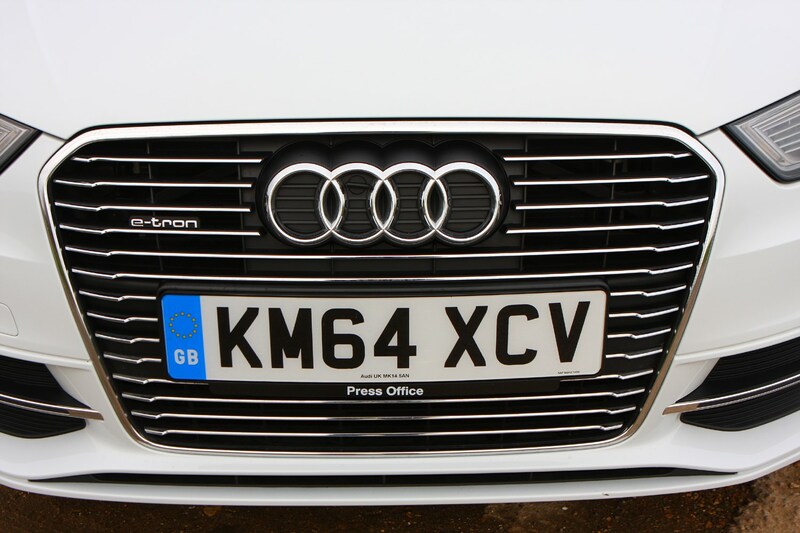 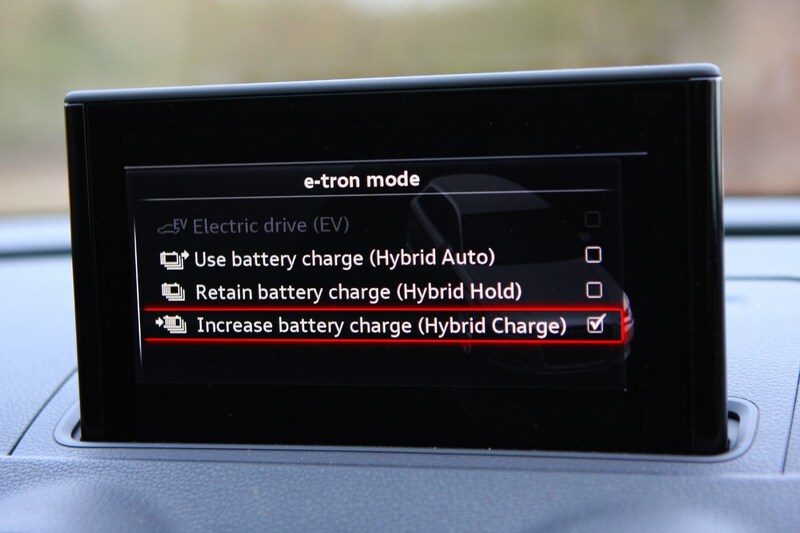 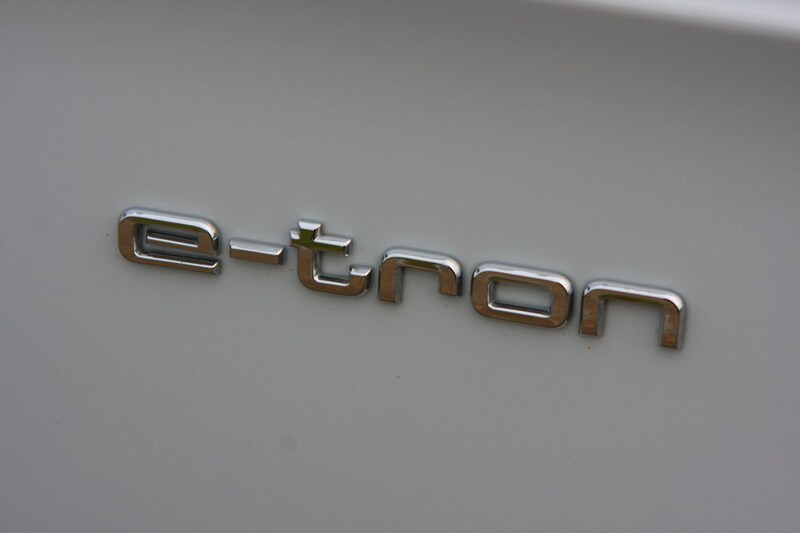 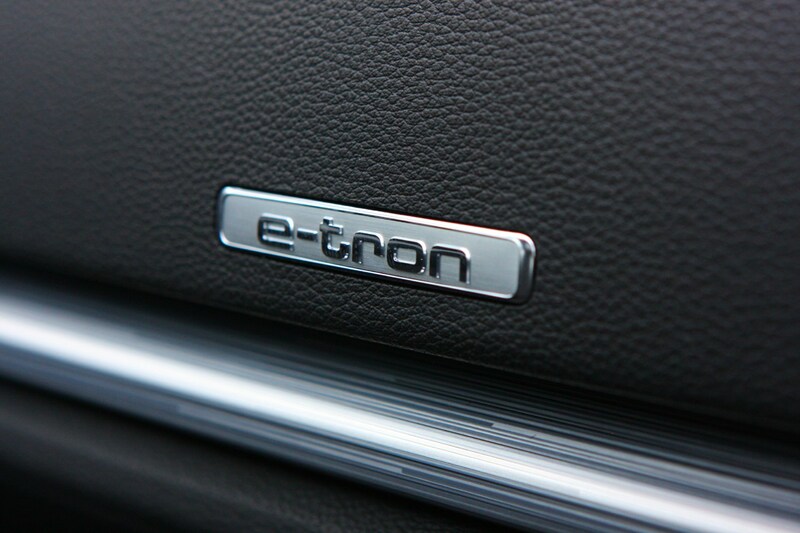 In 2015 the range was be augmented by the plug-in hybrid e-tron model, combining a 1.4-litre TFSI petrol engine and electric motor to offer up to 176mpg and just 37g/km of CO2 output - perfect for company car users. 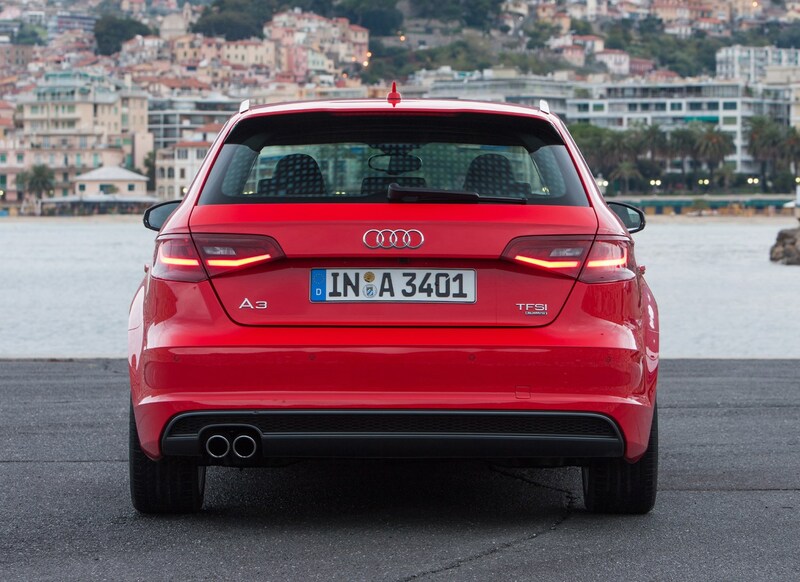 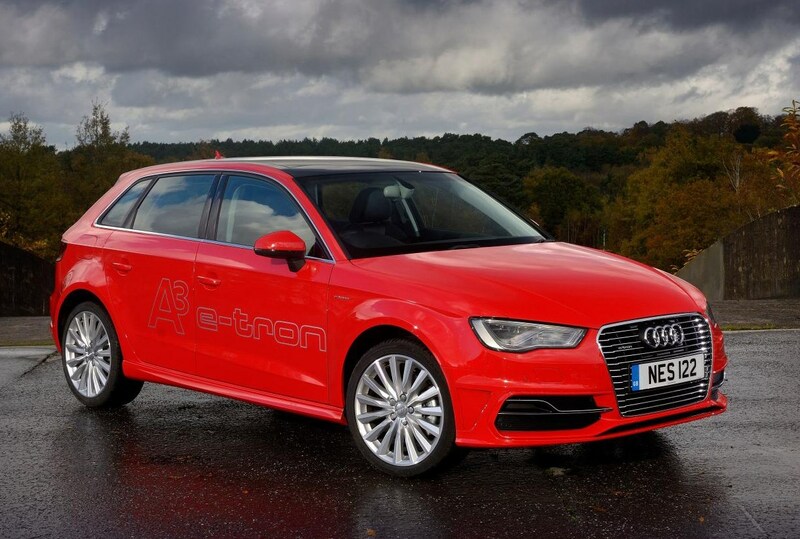 The A3's trim levels are familiar, spanning SE Technik, Sport, S Line and Black Edition, with distinct S3, RS 3 and e-tron models. 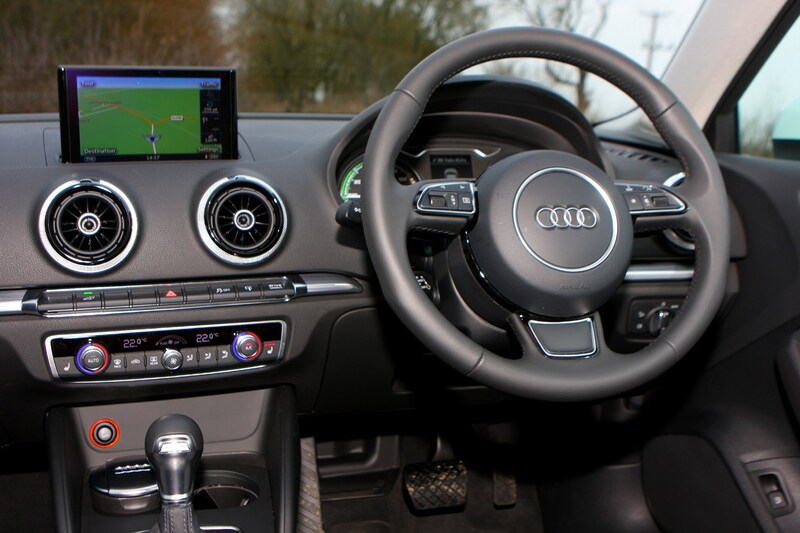 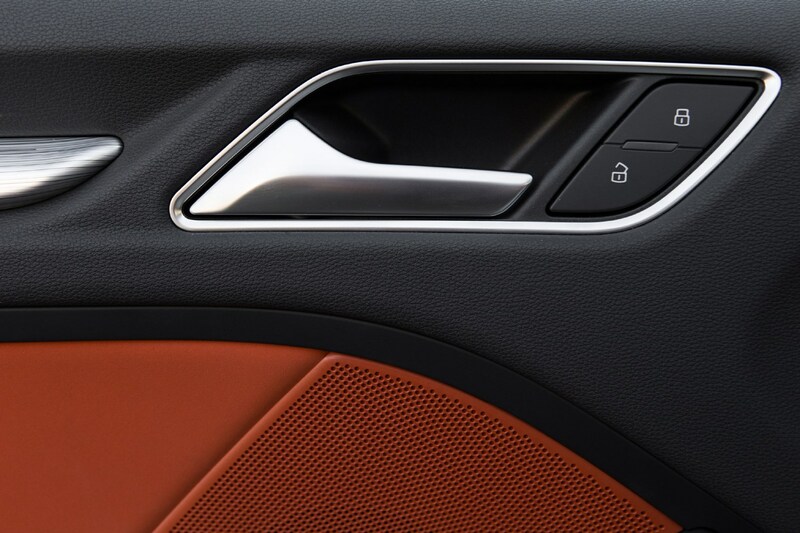 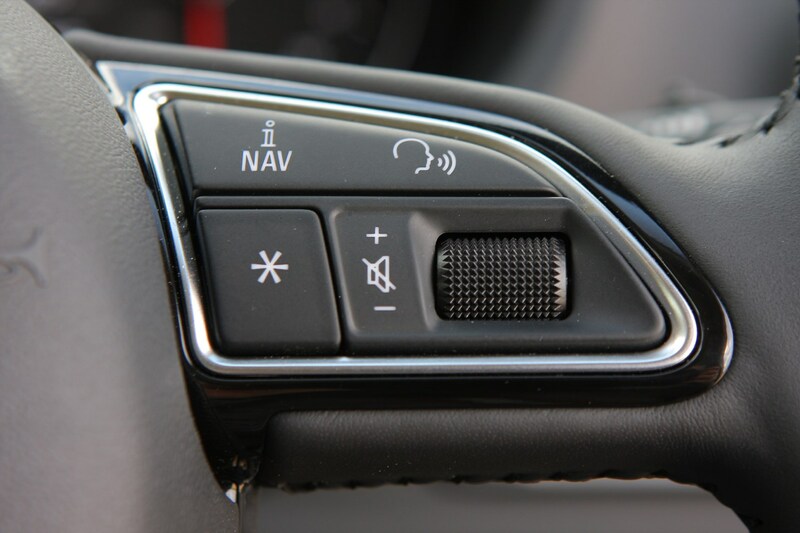 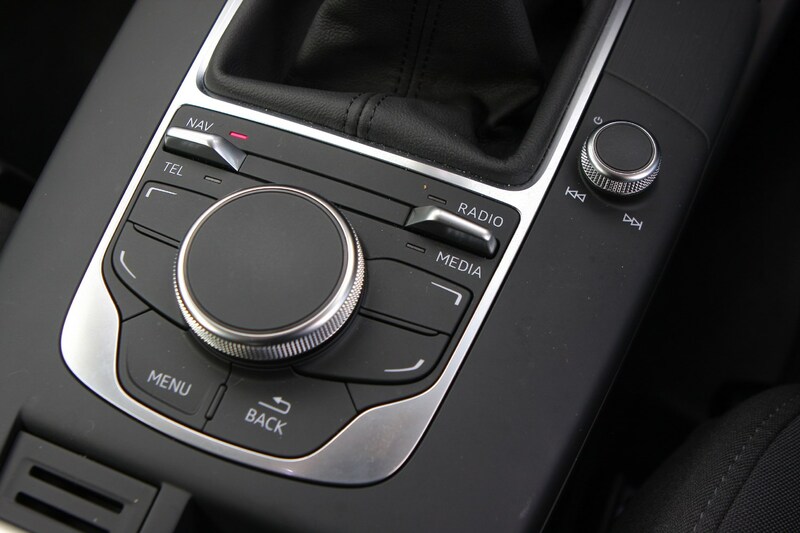 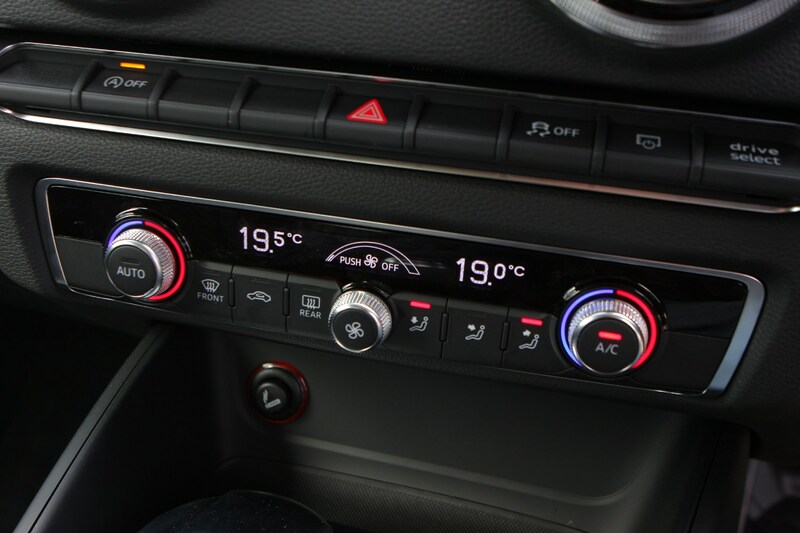 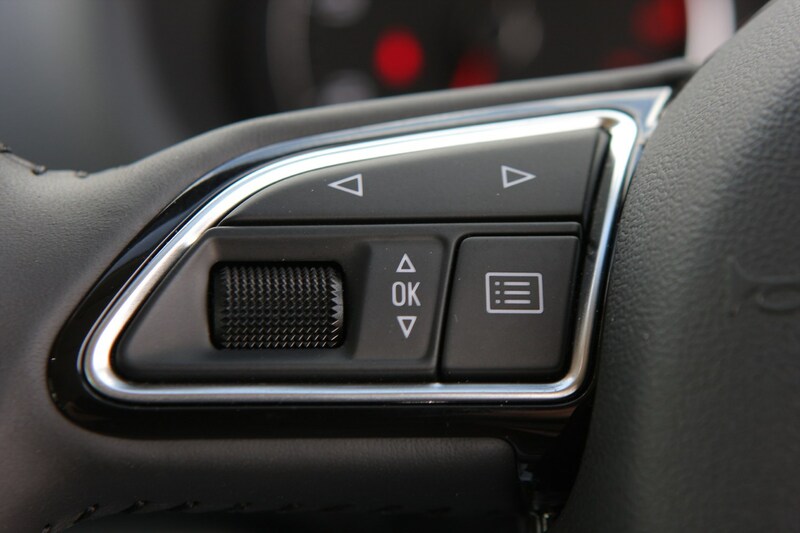 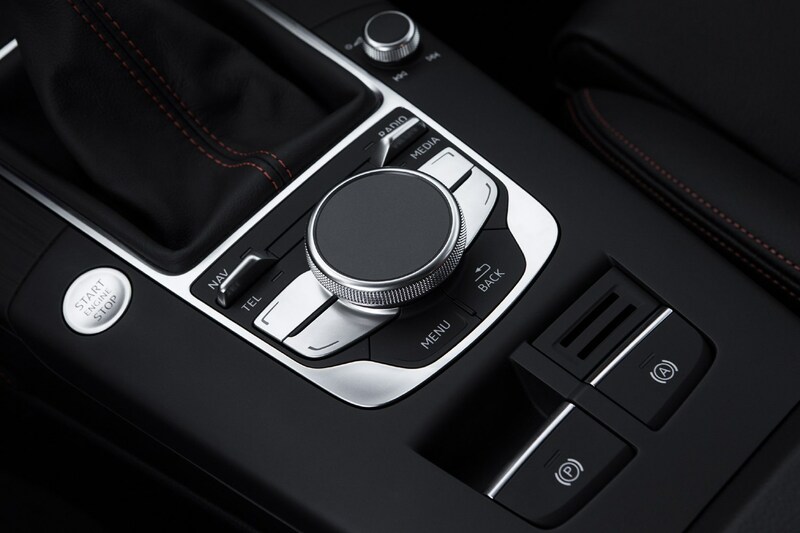 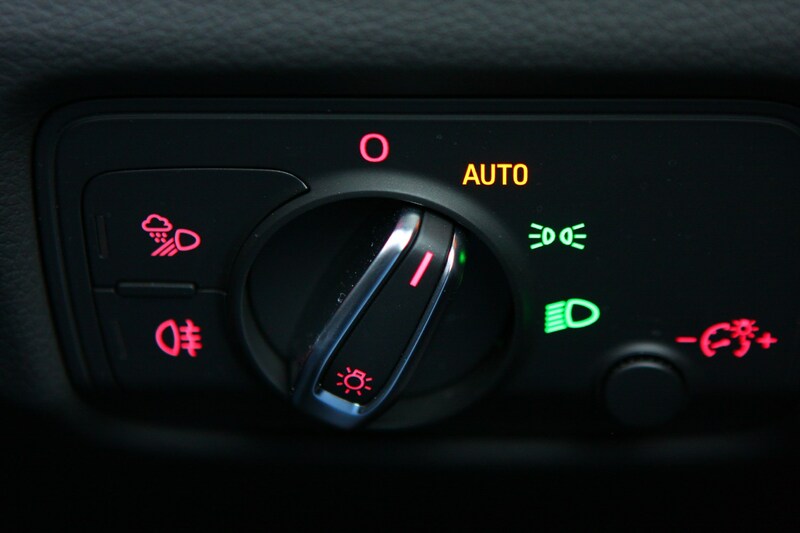 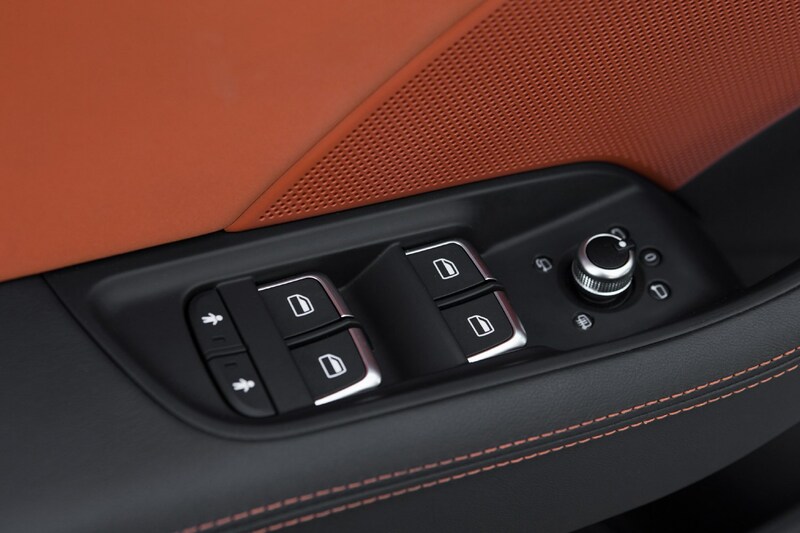 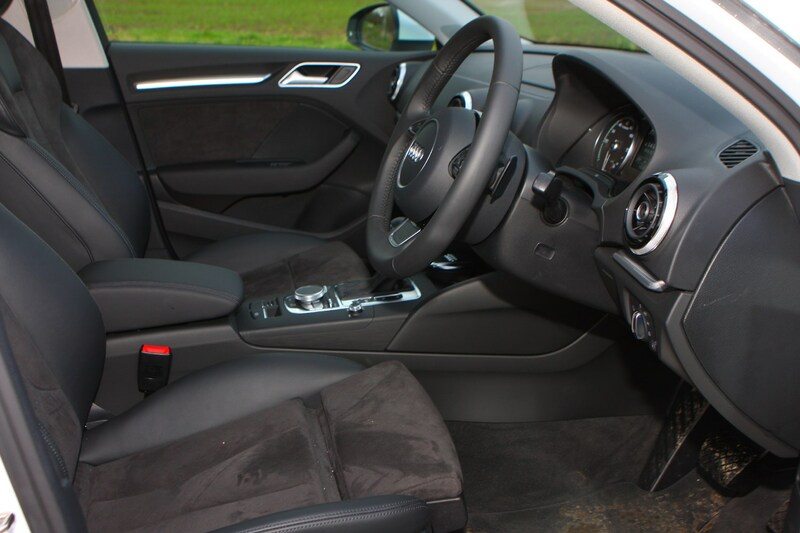 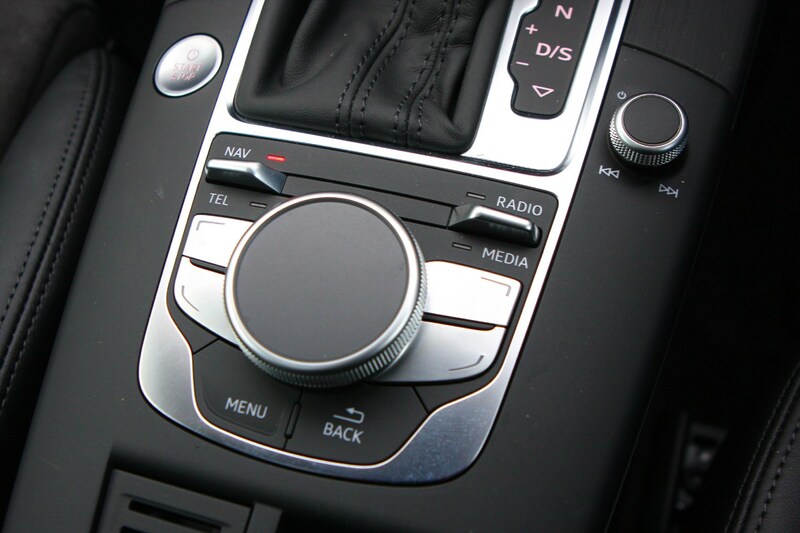 Highlights include alloy wheels, air-con, an MMI infotainment system with its electrically deploying screen, Bluetooth with voice control and a multi-function steering wheel. 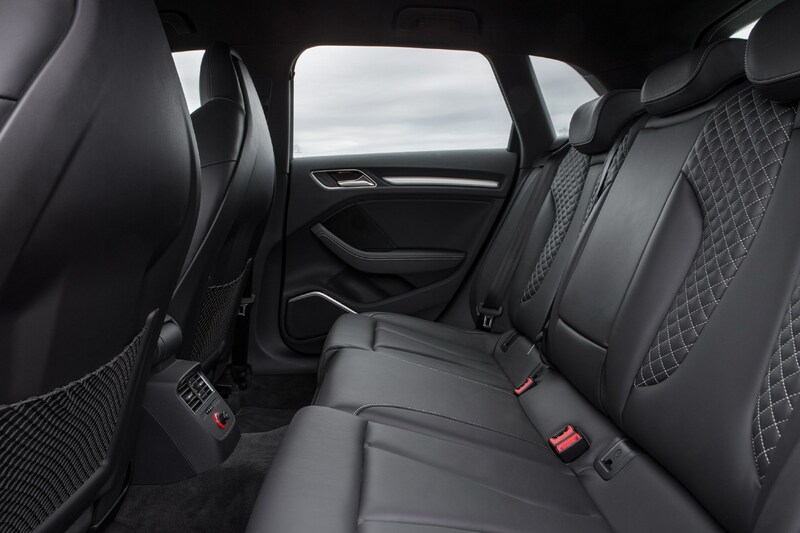 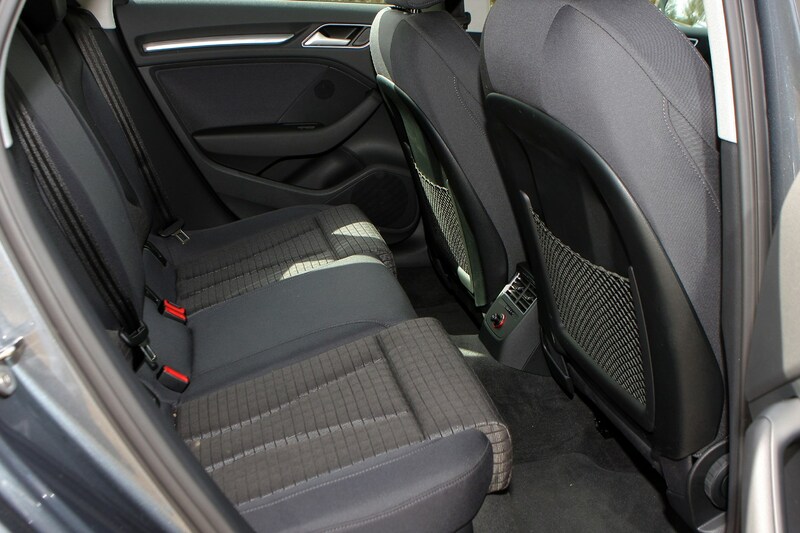 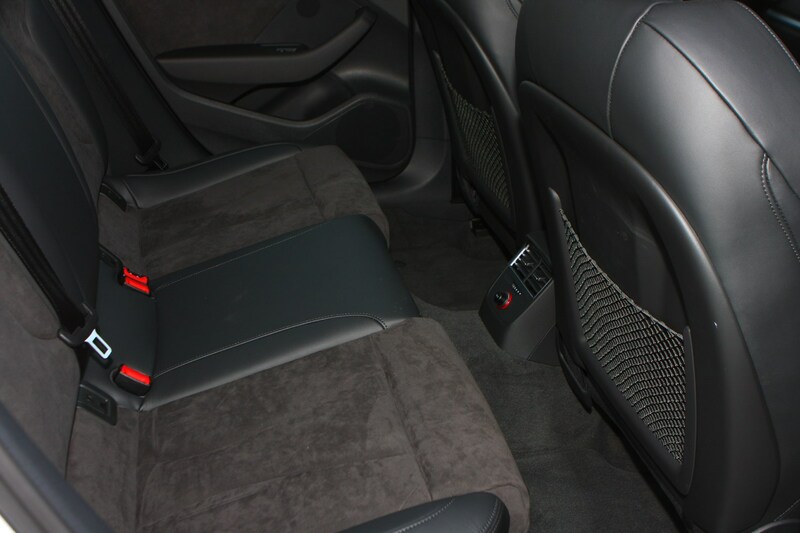 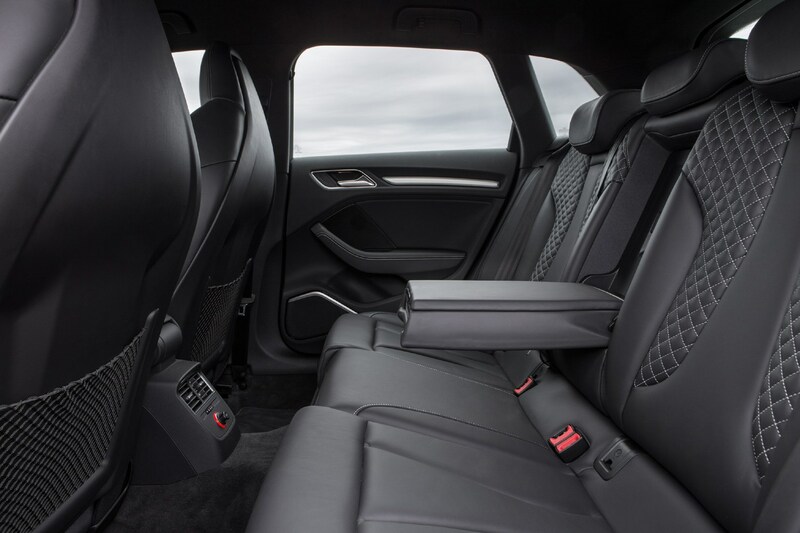 Cloth seats are standard for SE Technik and Sport models, while S Line versions upgrade to a mixture of cloth and leather. 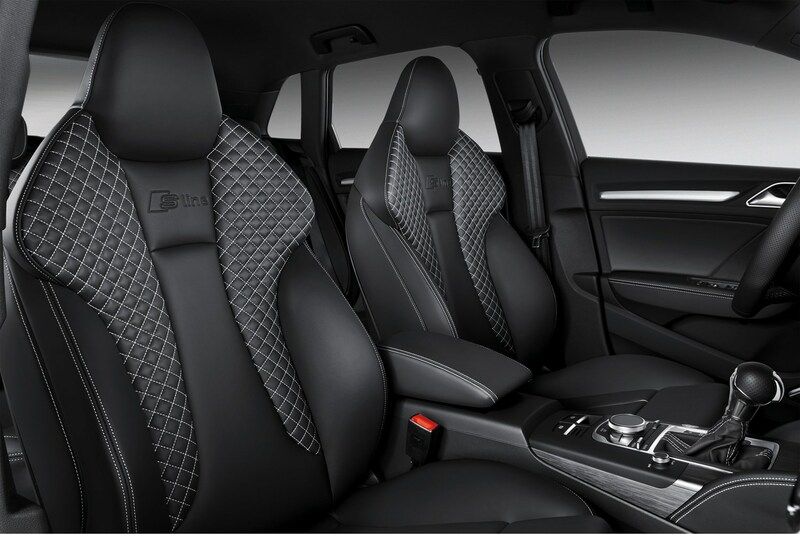 Move up to top spec Black Edition trim and unique 18-inch alloy wheels, privacy glass, black styling additions and an upgraded Audi sound system are added to the standard kit list. 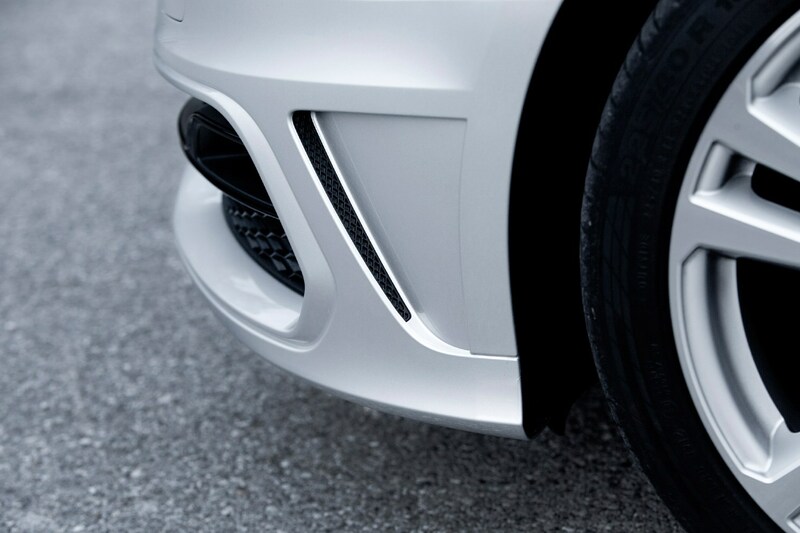 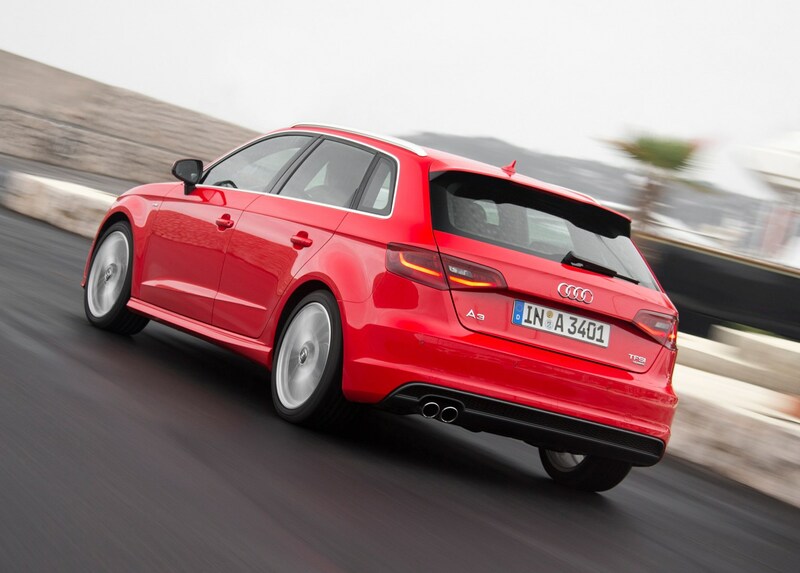 If you fancy more power, there is of course the 310hp Audi S3. 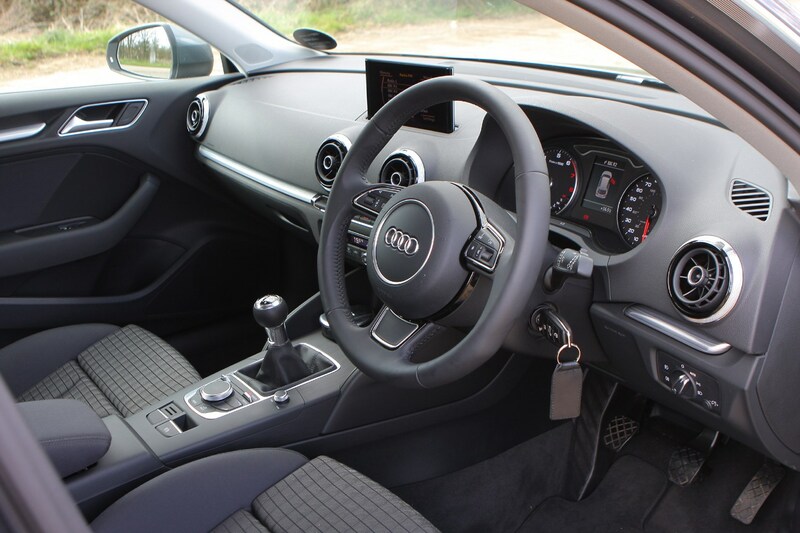 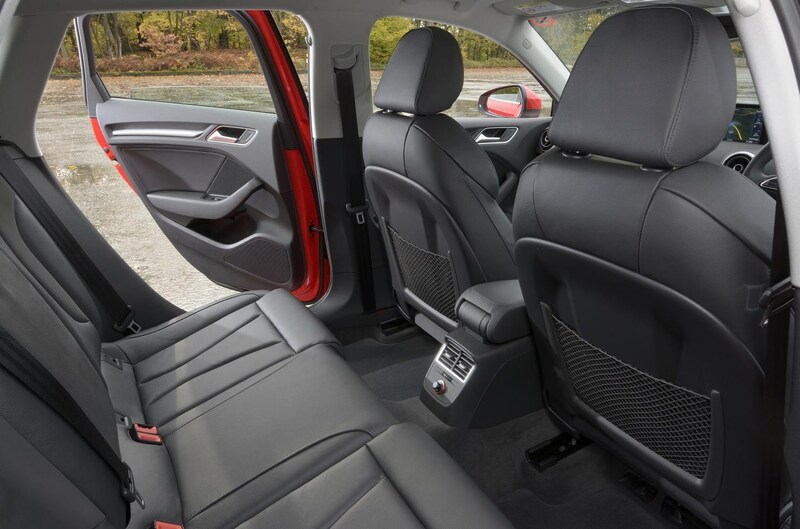 Available in two trim levels, S3 bags you lowered sports suspension, sportier progressive steering, an upgraded sound system and heated fine Nappa leather seats. 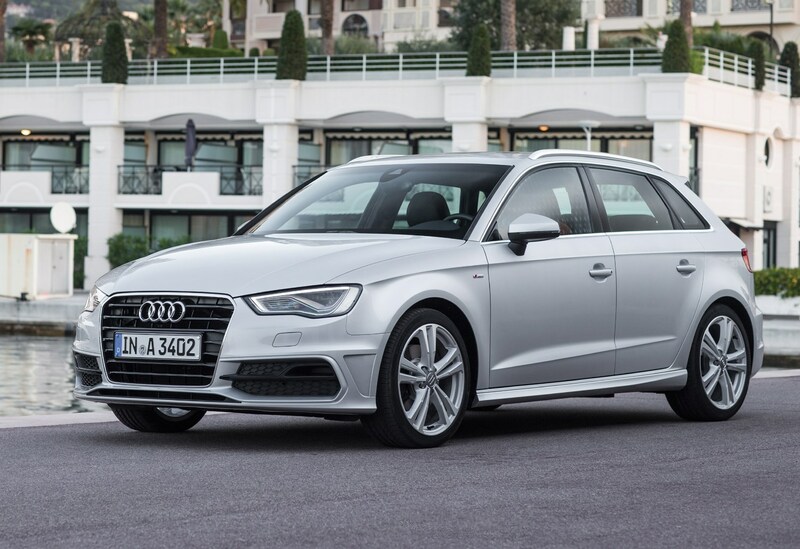 The S3 Black Edition, meanwhile, adds unique 18-inch alloy wheels, black styling pack, privacy glass and a top-end Bang & Olufsen sound system. 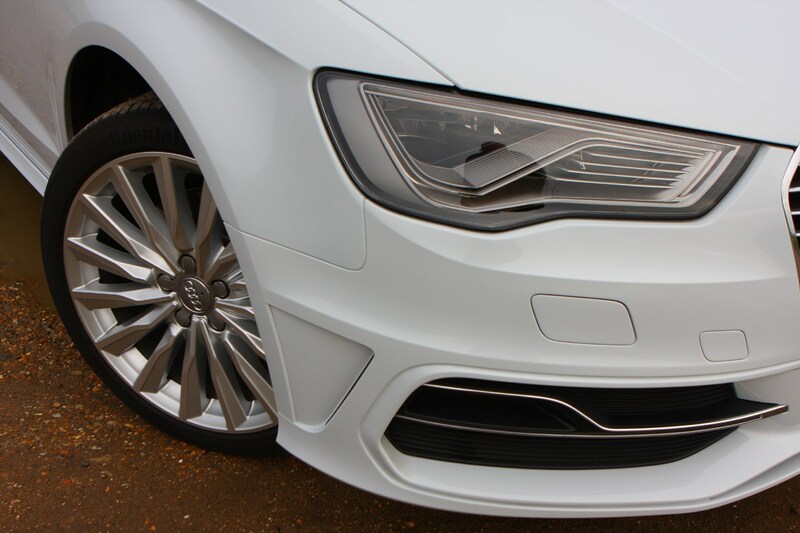 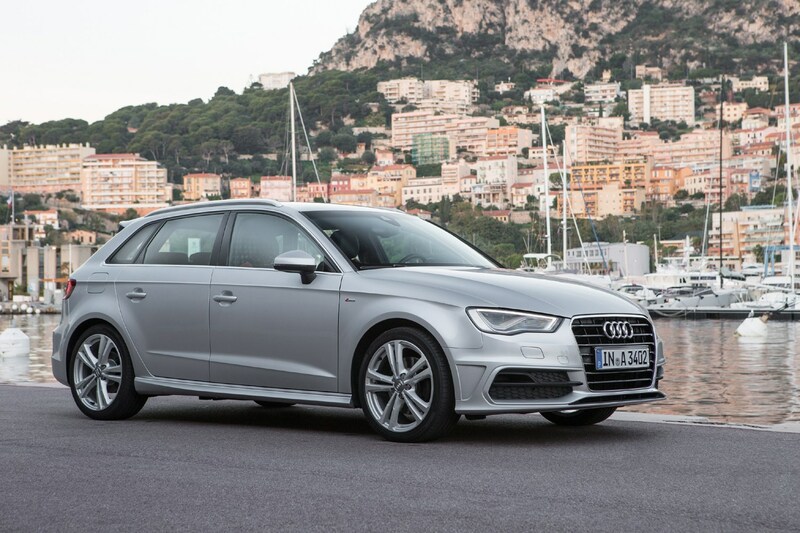 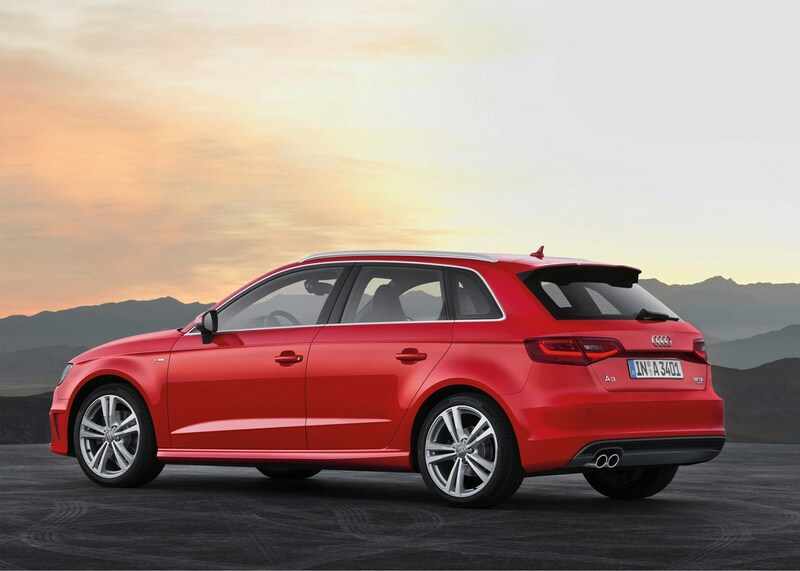 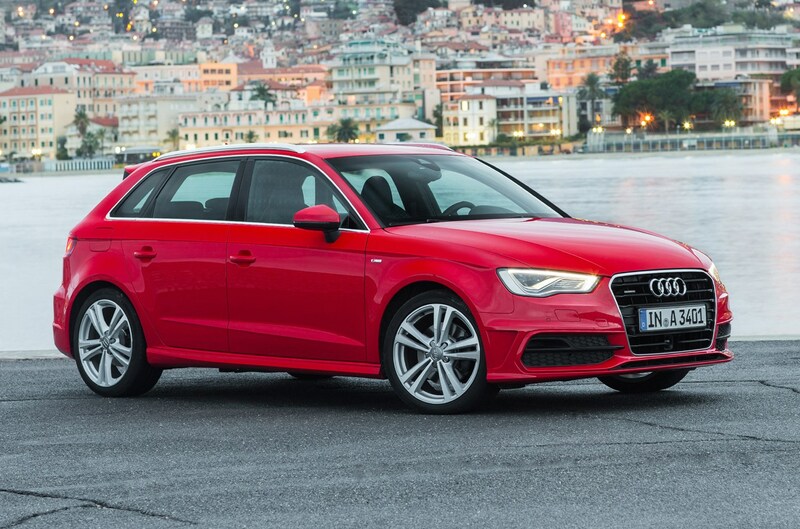 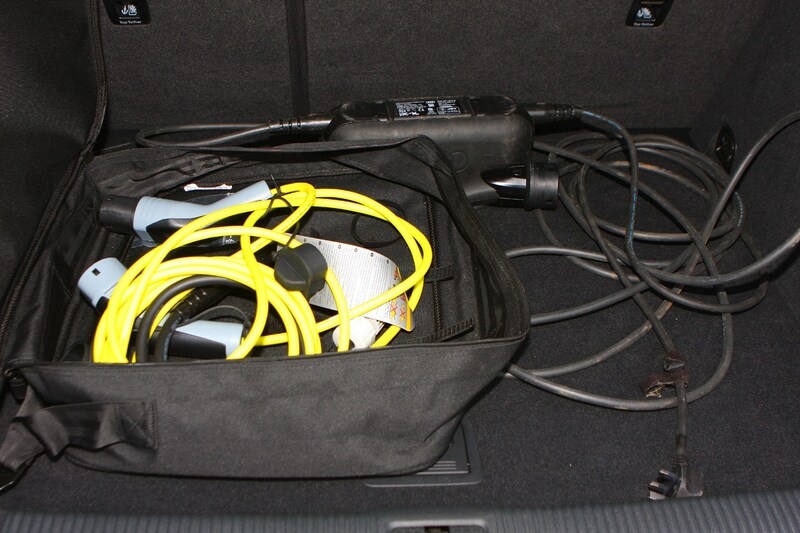 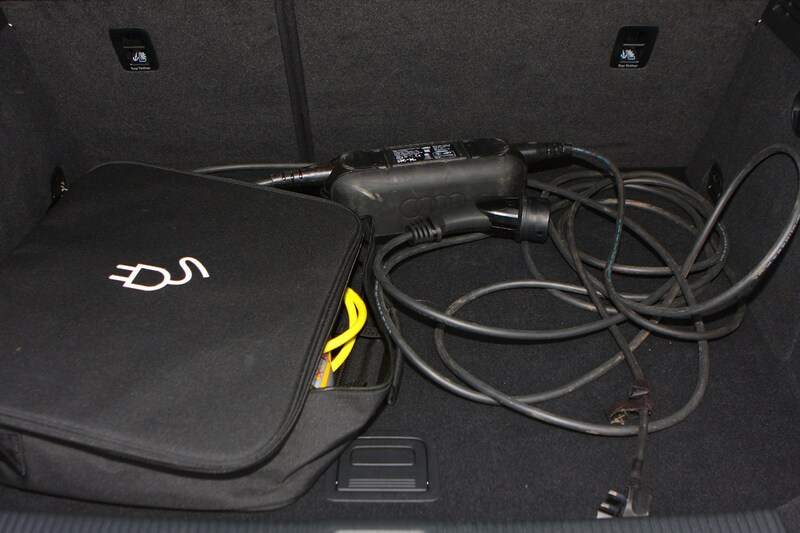 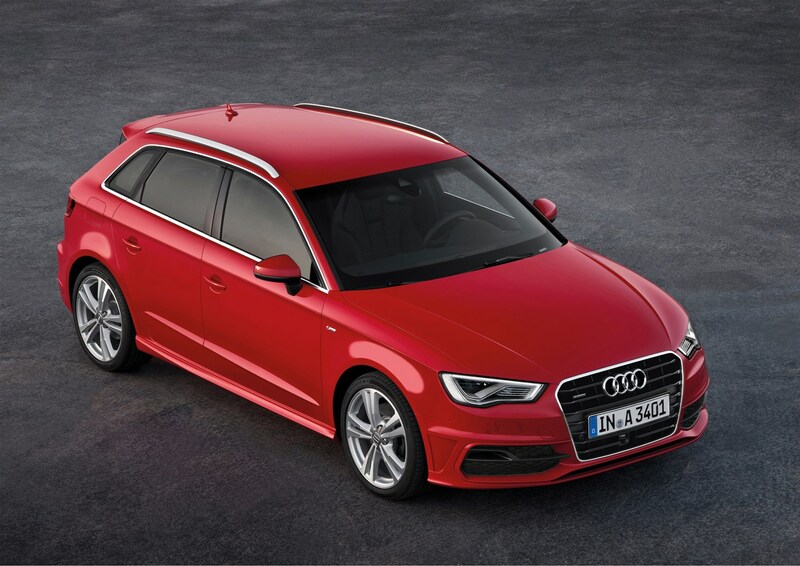 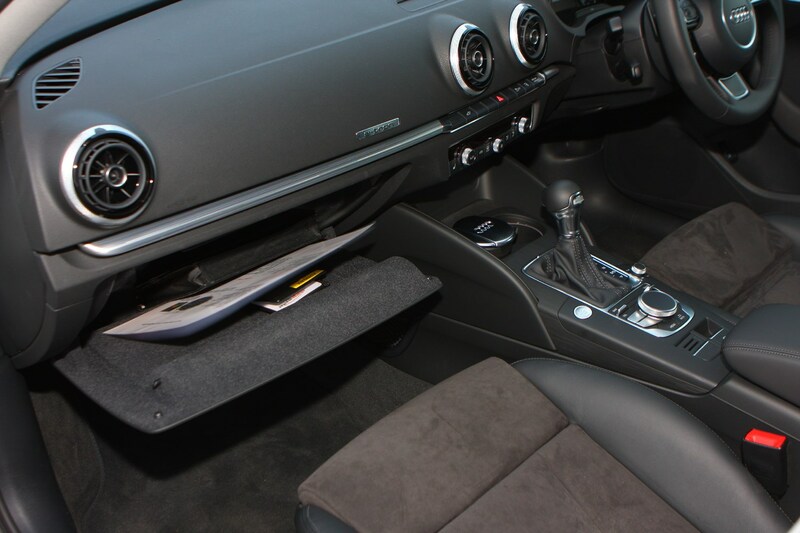 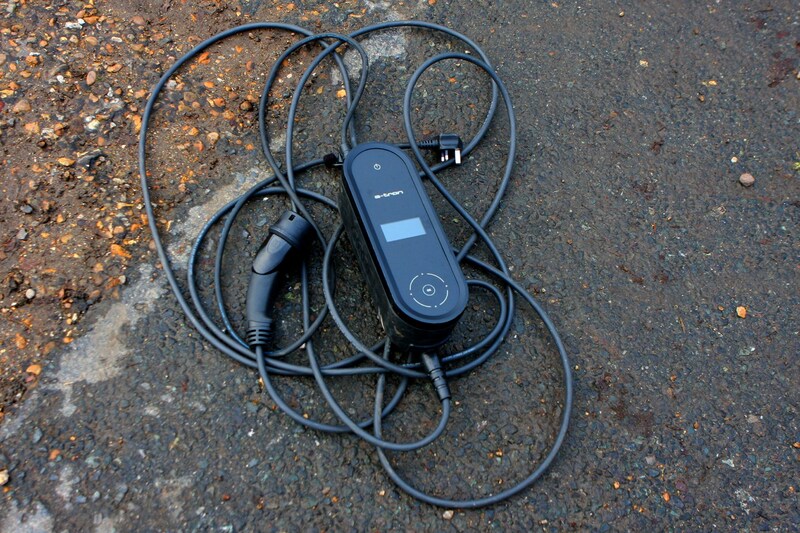 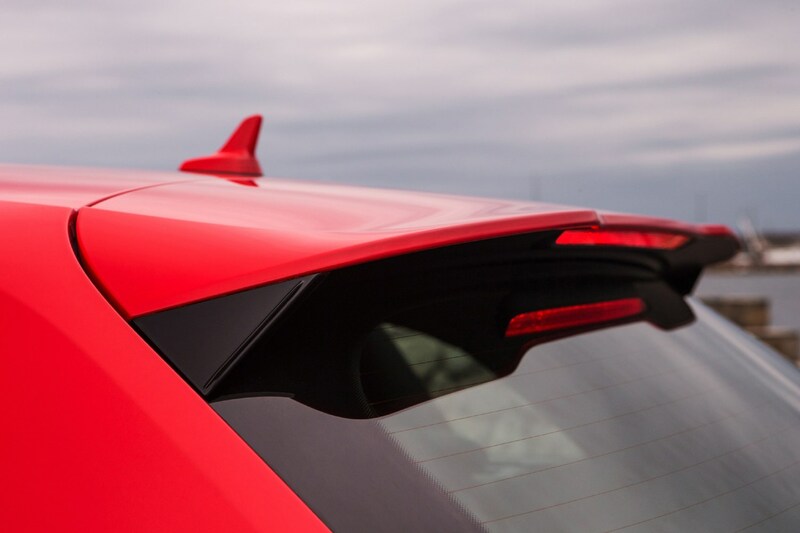 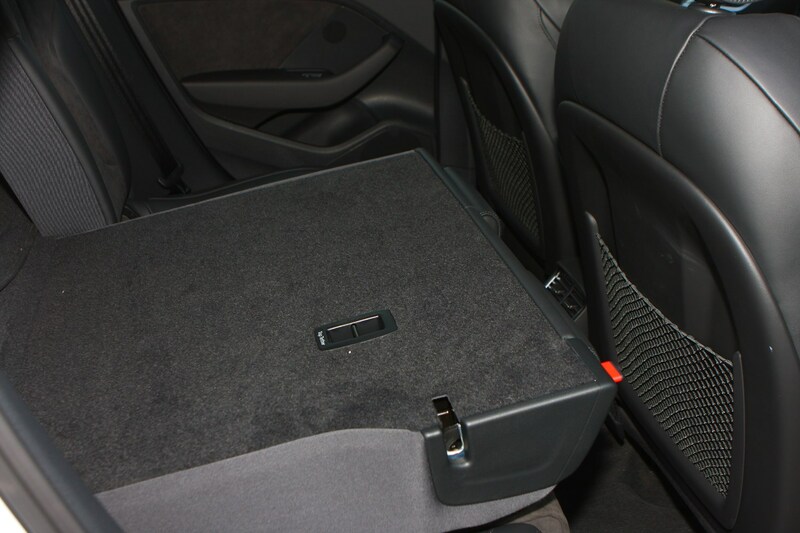 Like the S3, the RS 3 is a model in its own right with its own equipment specification. 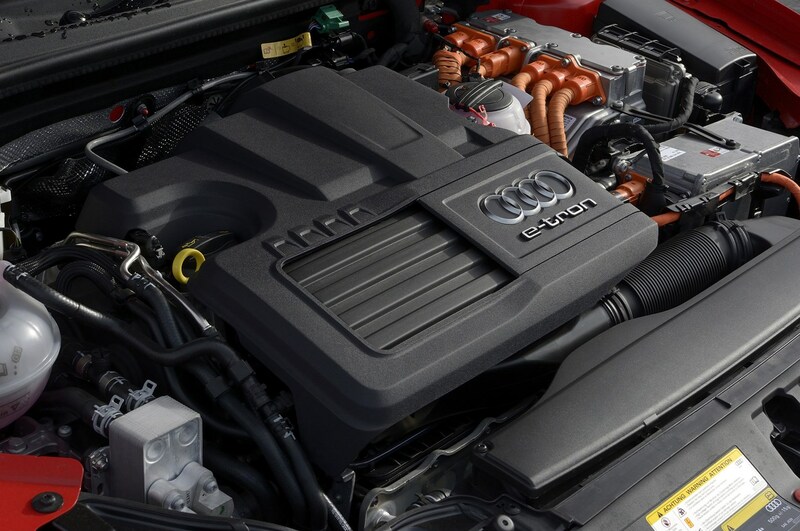 This more aggressive model boasts a powerful 2.5-litre turbocharged petrol engine pushing out 400hp and some serious performance that rivals far more expensive sports cars. 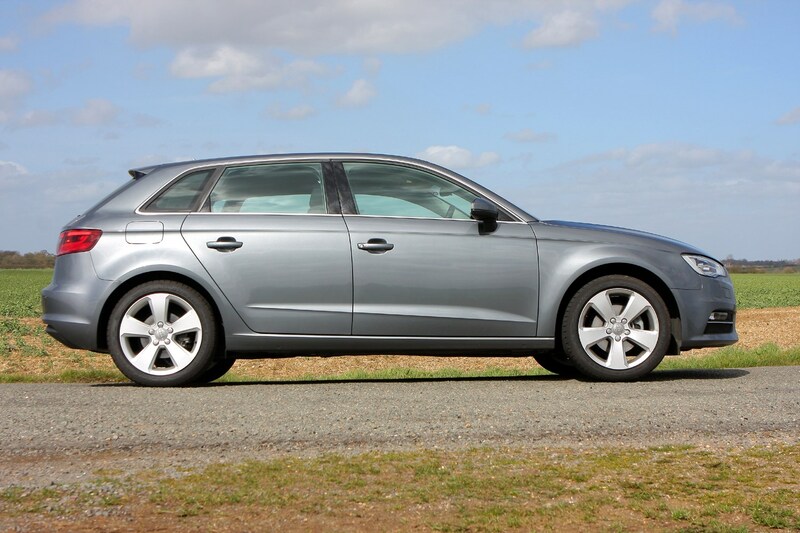 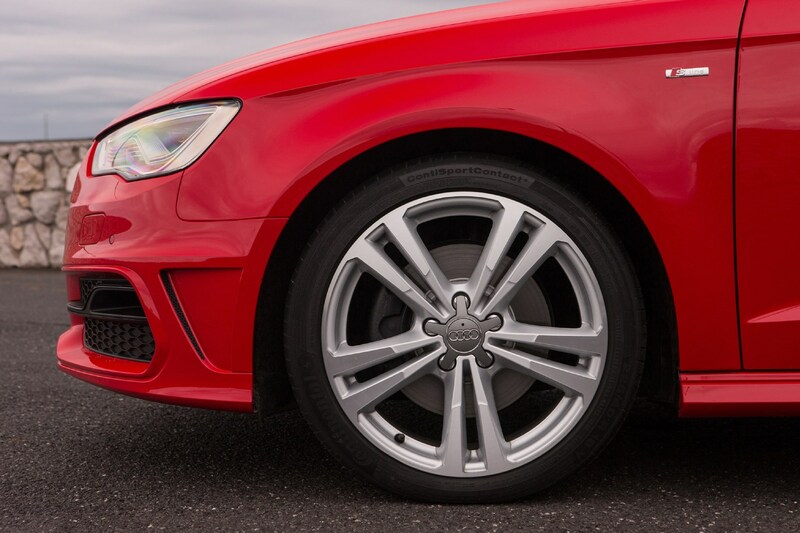 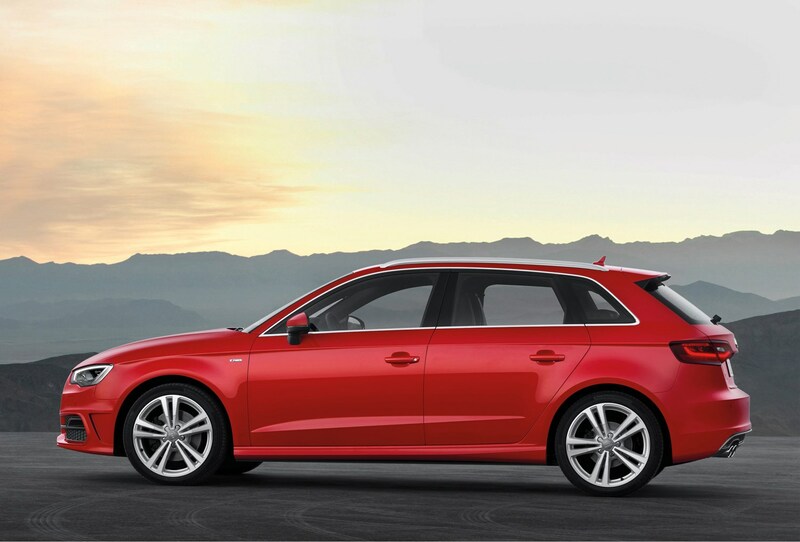 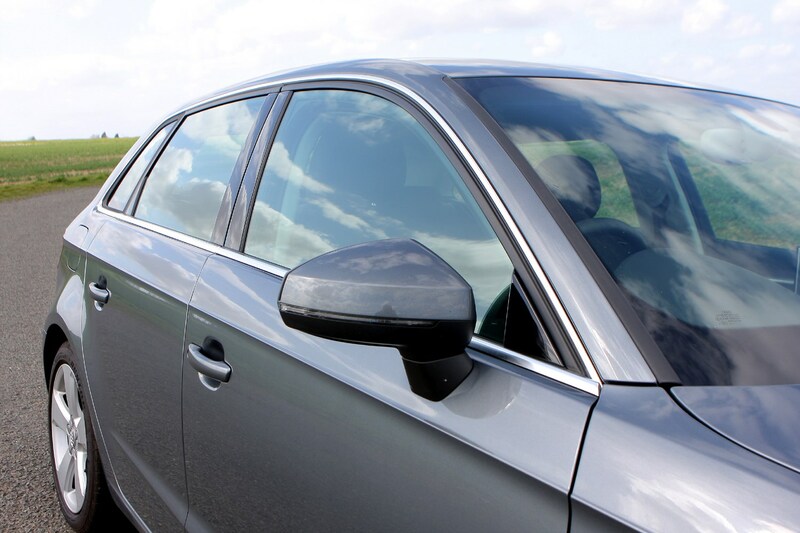 You can't go far wrong with the Audi A3 Sportback. 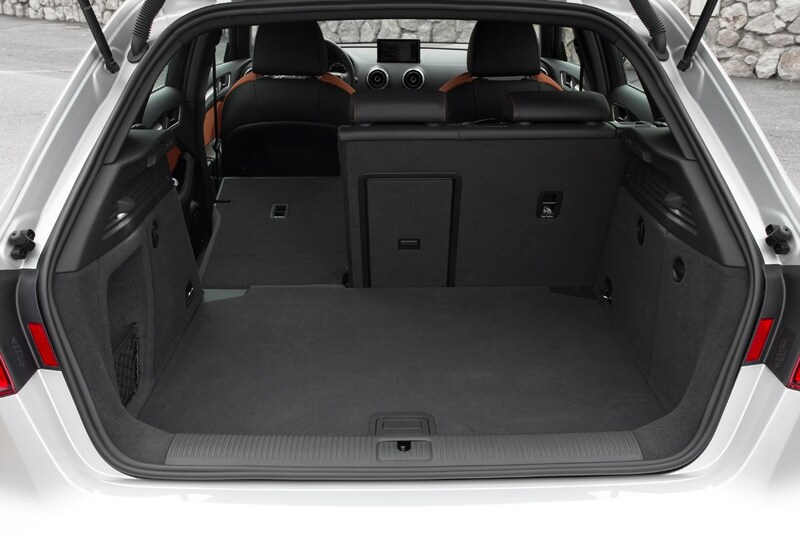 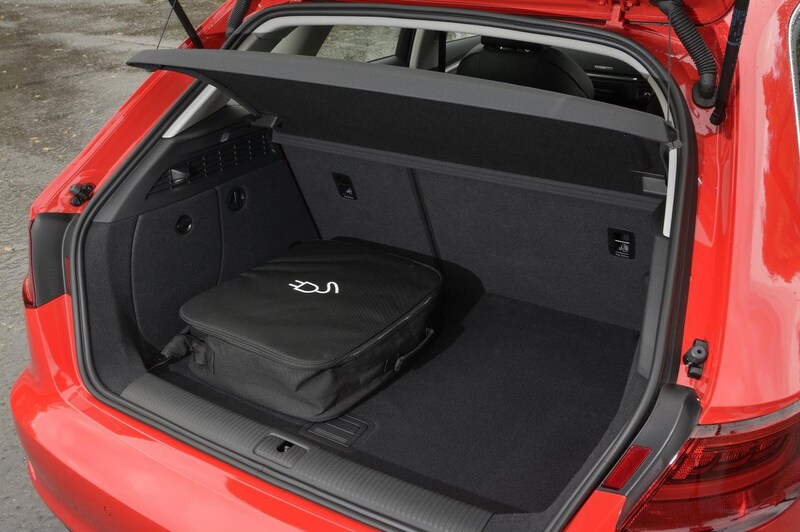 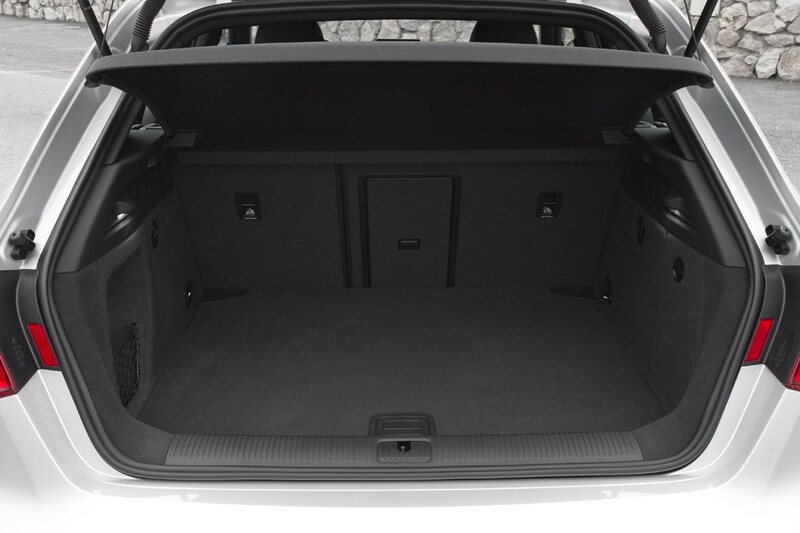 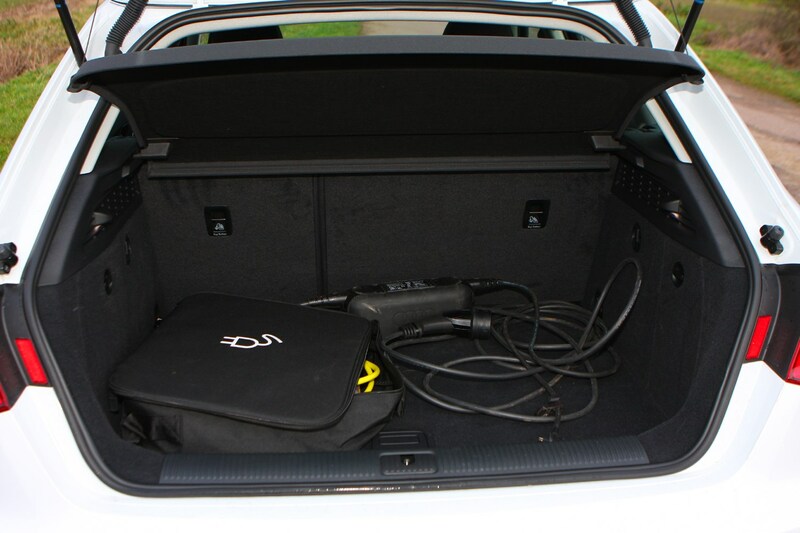 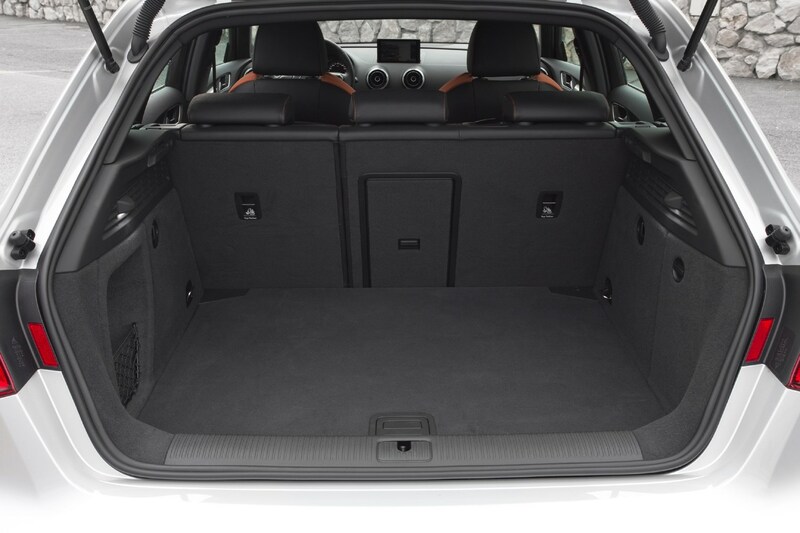 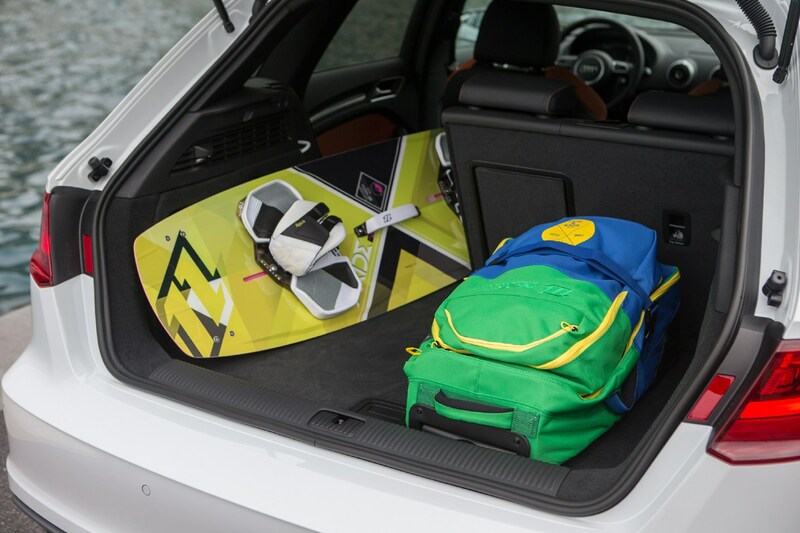 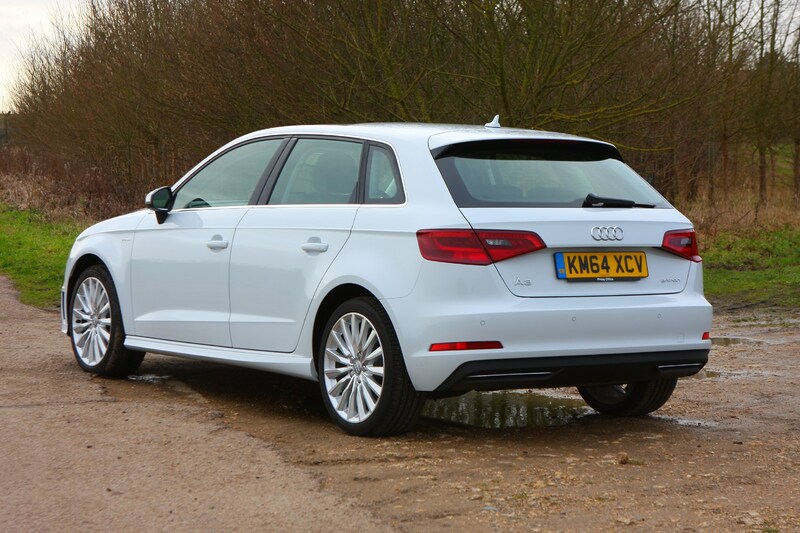 Yes, it doesn't look as good as the three-door A3 Hatchback, but it's more practical and has more room inside. 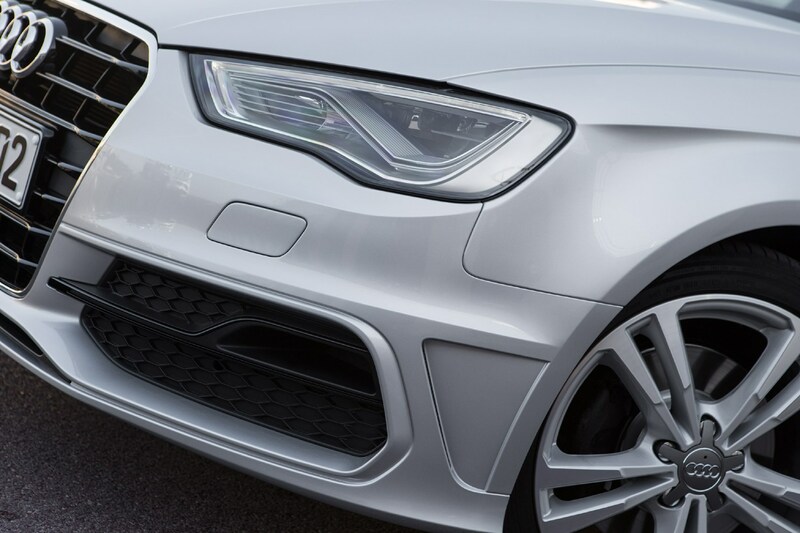 As befitting its premium status, it's expensive to buy, but PCP finance costs are competitive, due to its strong residual values. 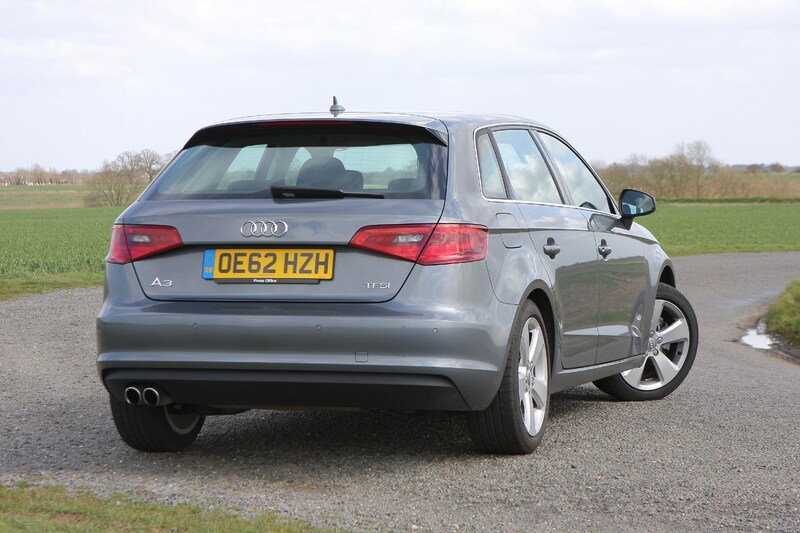 It's not the last word in driver's car appeal, but the A3 is a great motorway-demolishing tool and pleasant to drive, which is all you can ask of it. 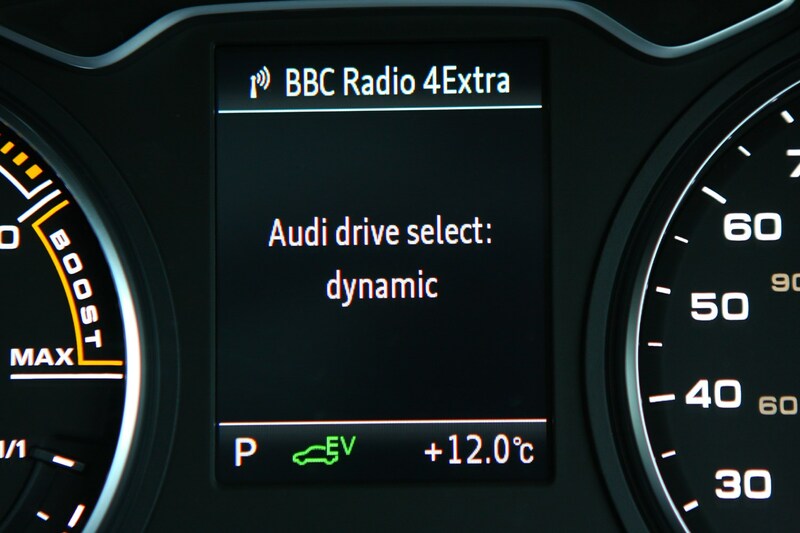 A diesel version needn't be the default option these days, as Audi offers a number of very efficient petrol and hybrid alternatives. 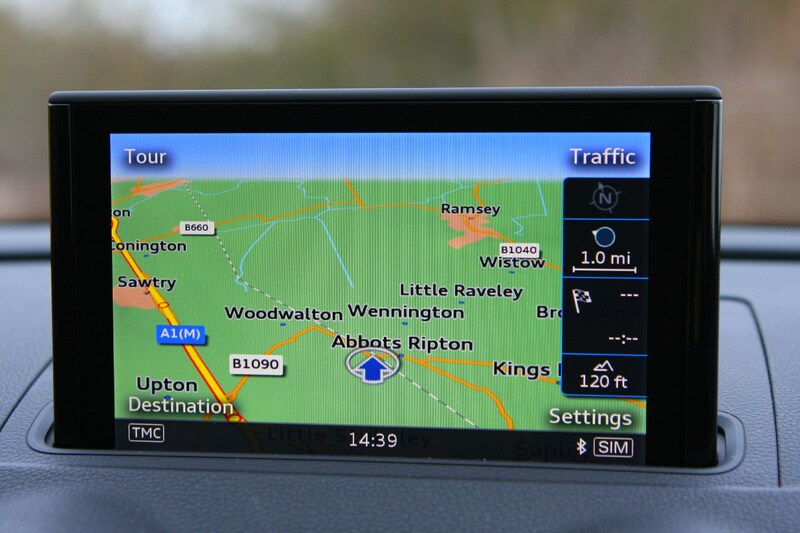 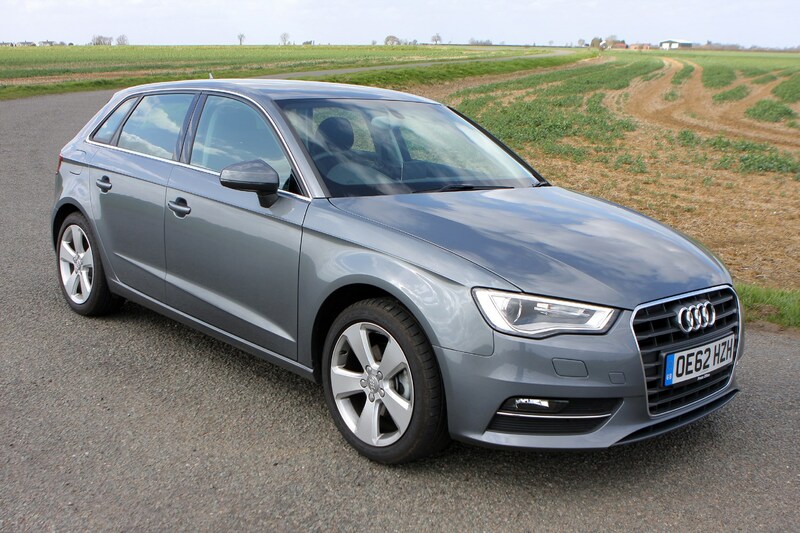 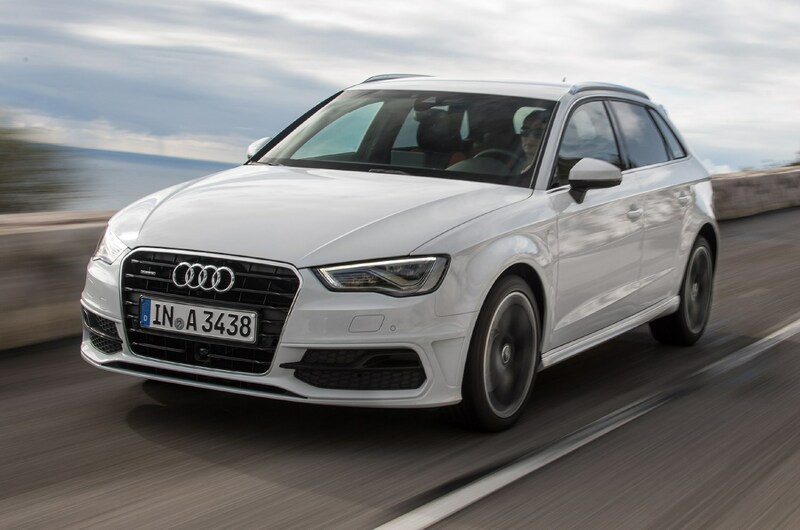 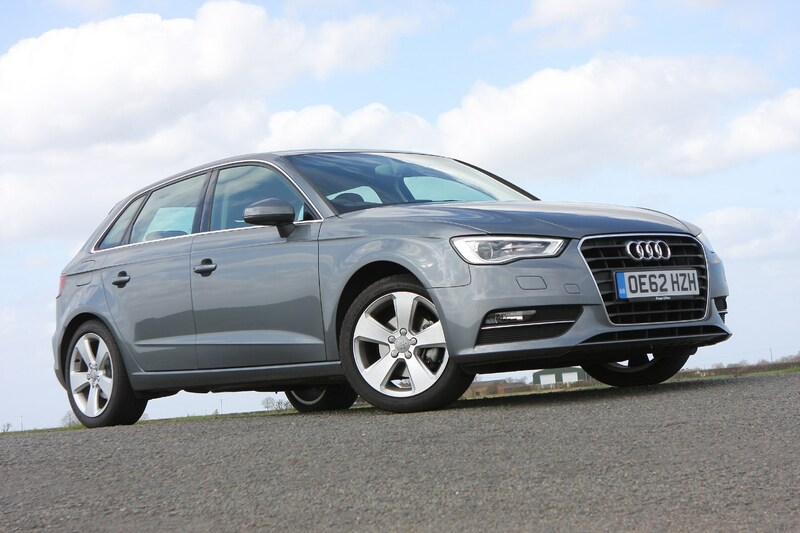 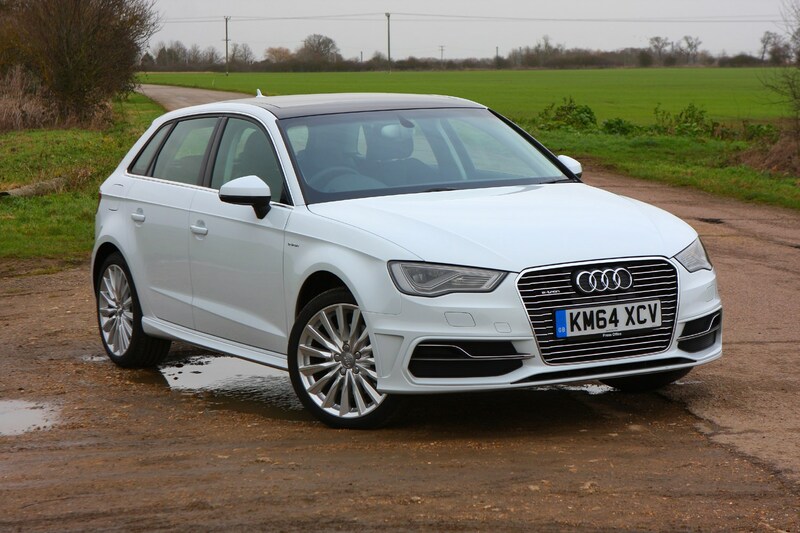 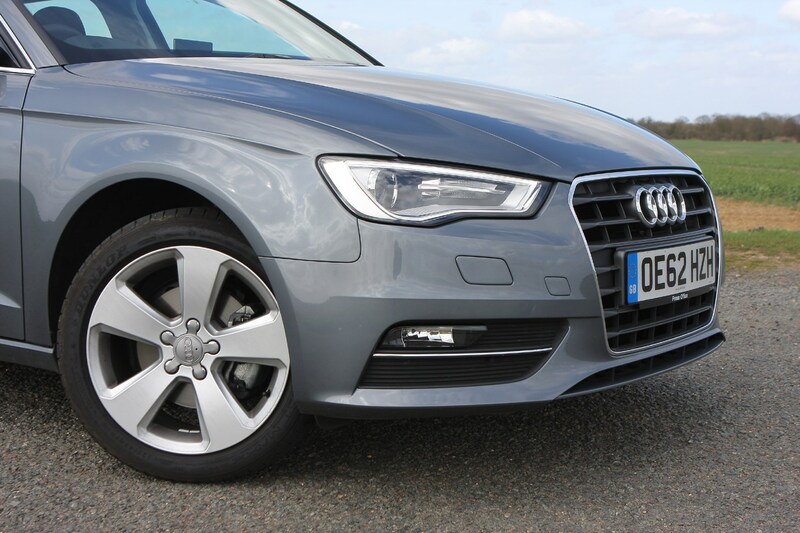 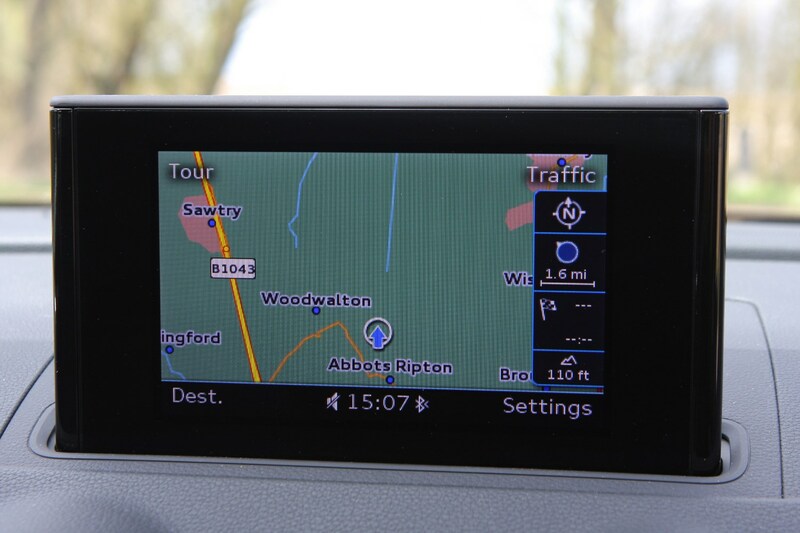 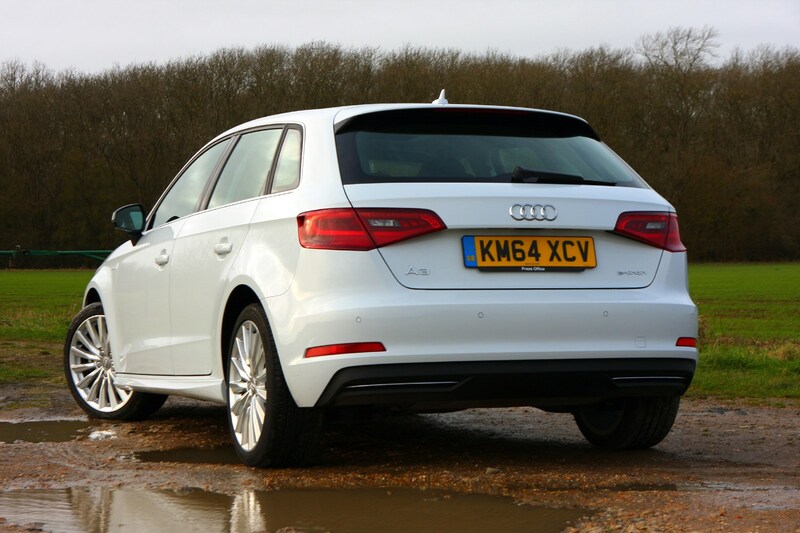 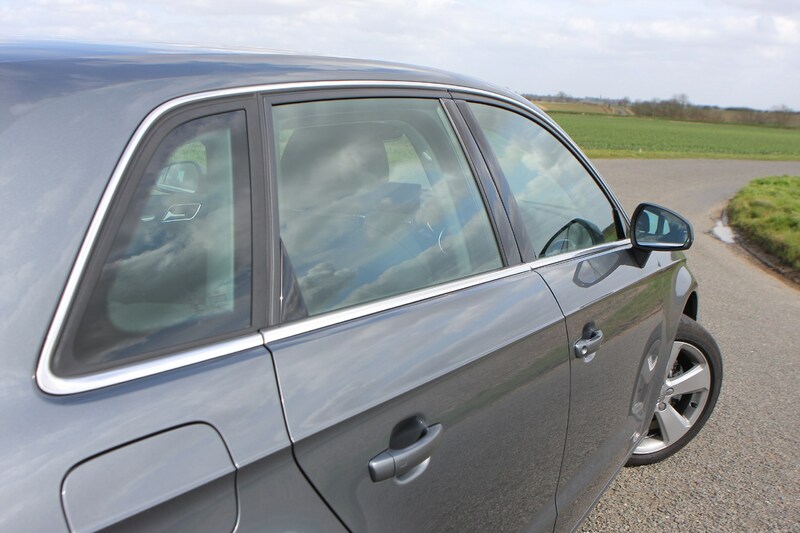 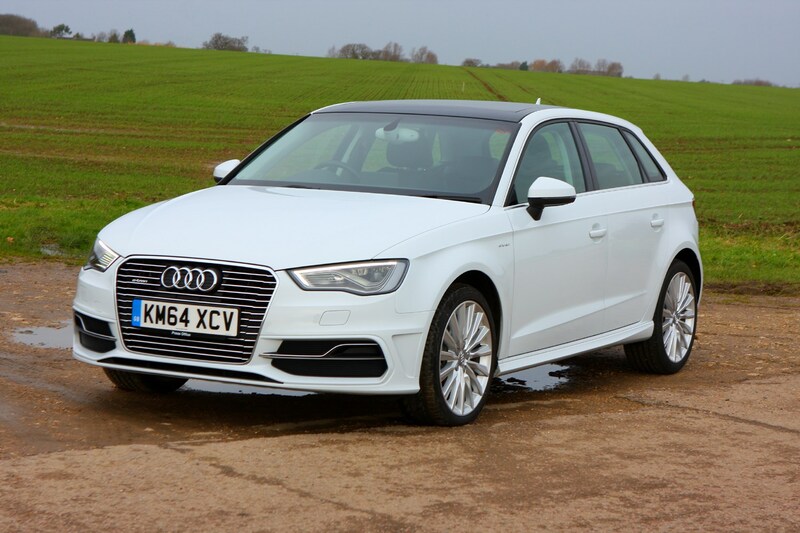 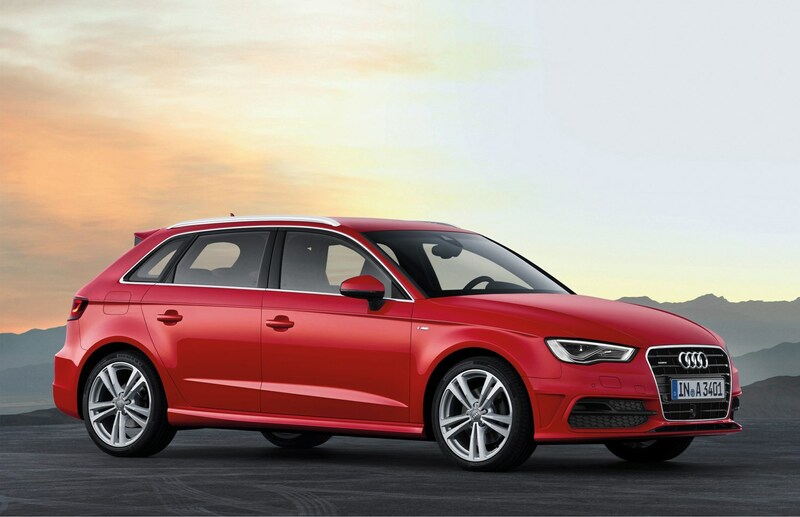 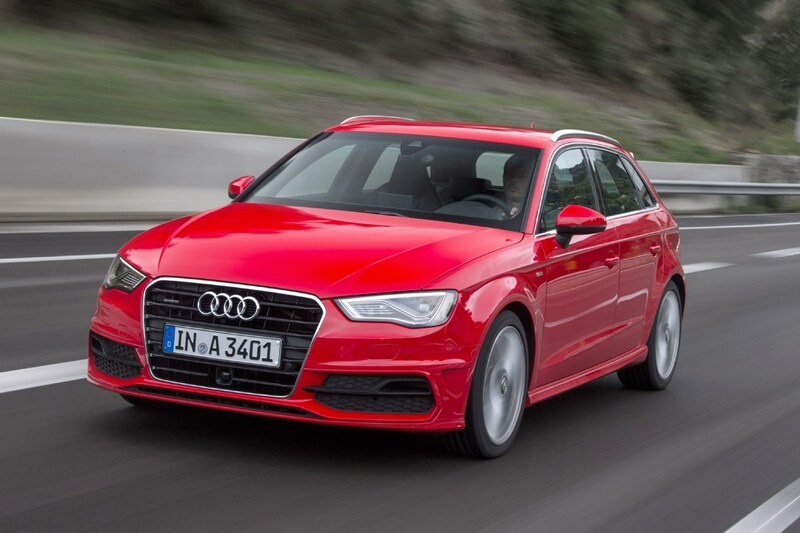 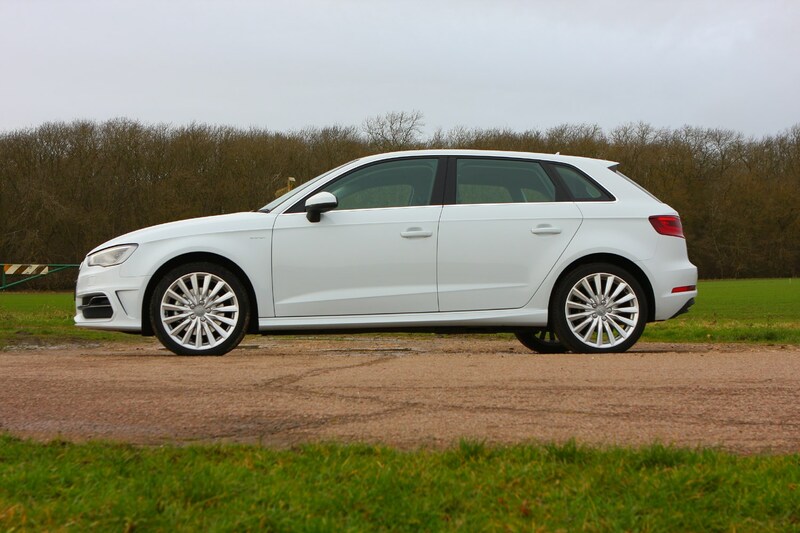 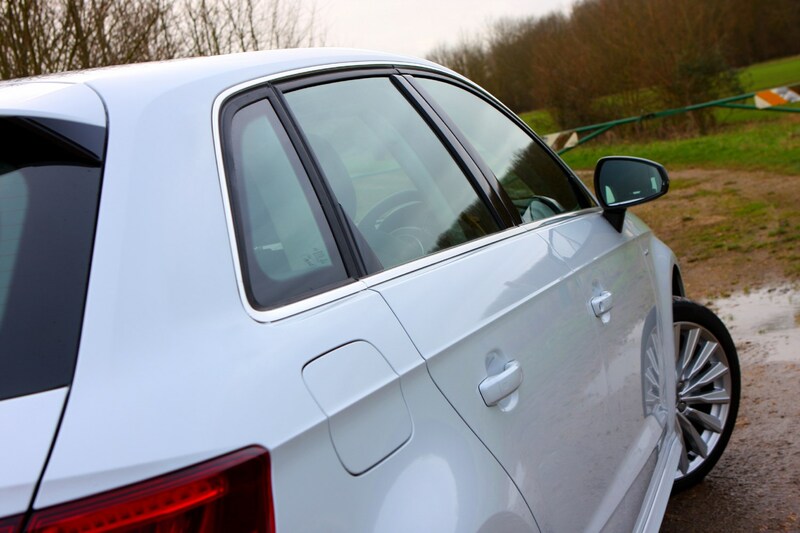 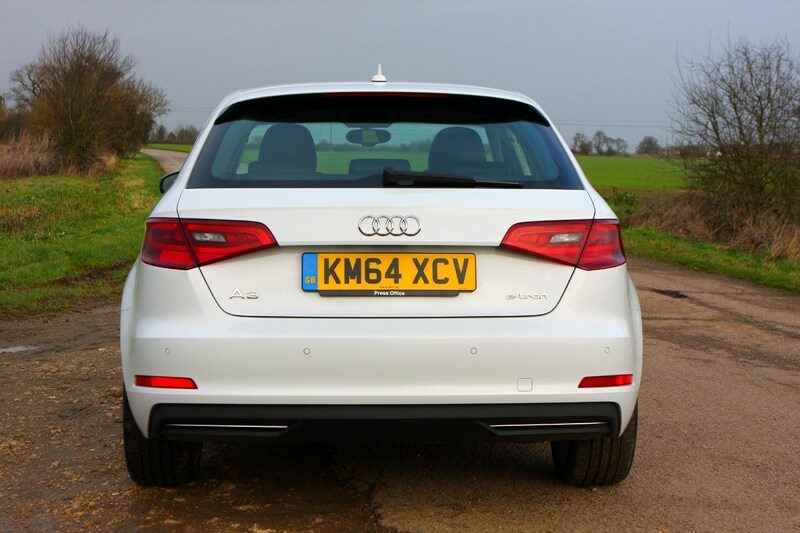 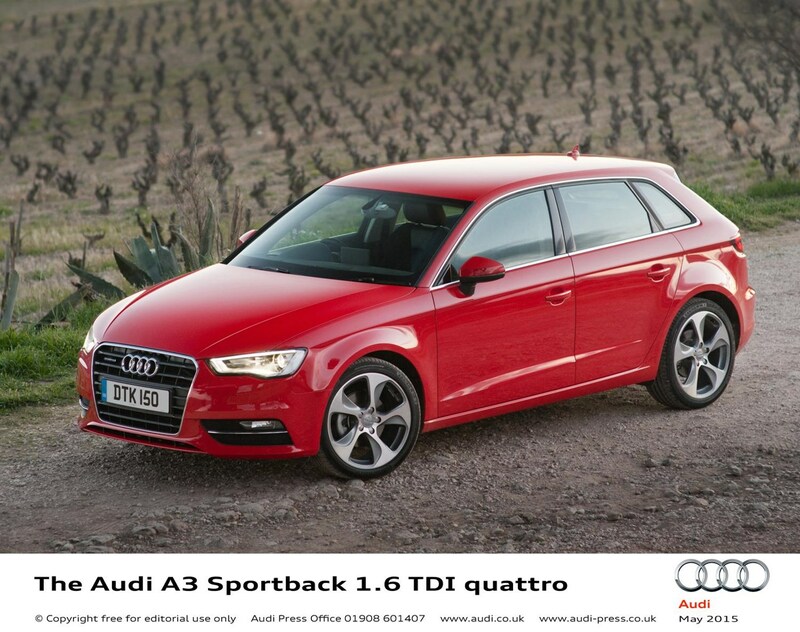 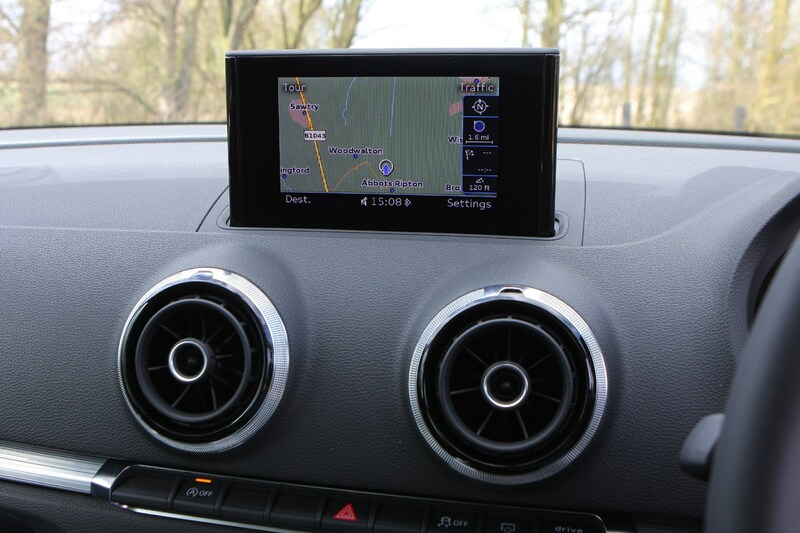 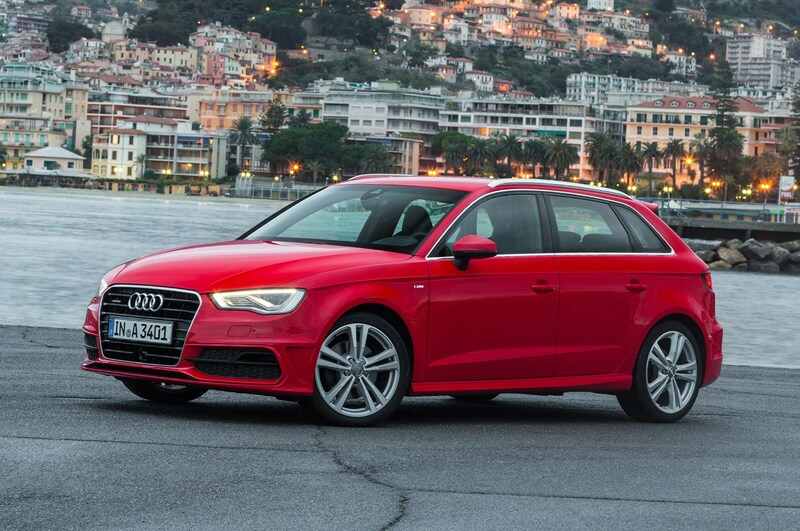 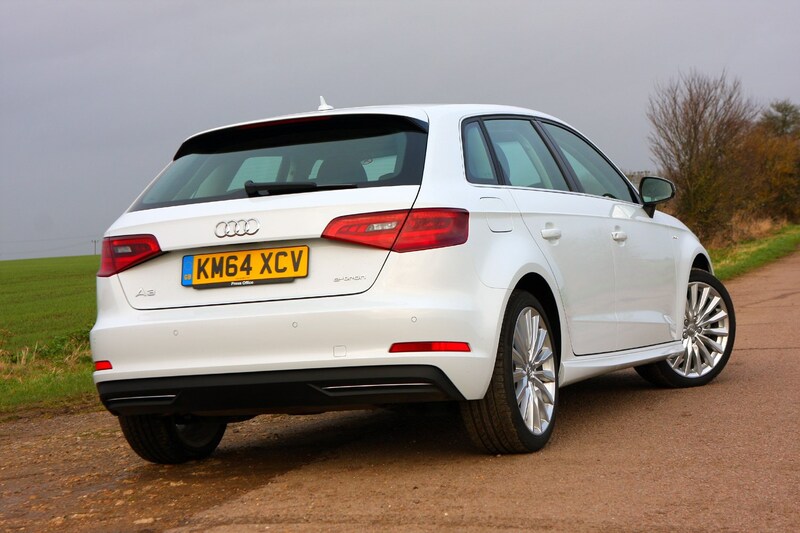 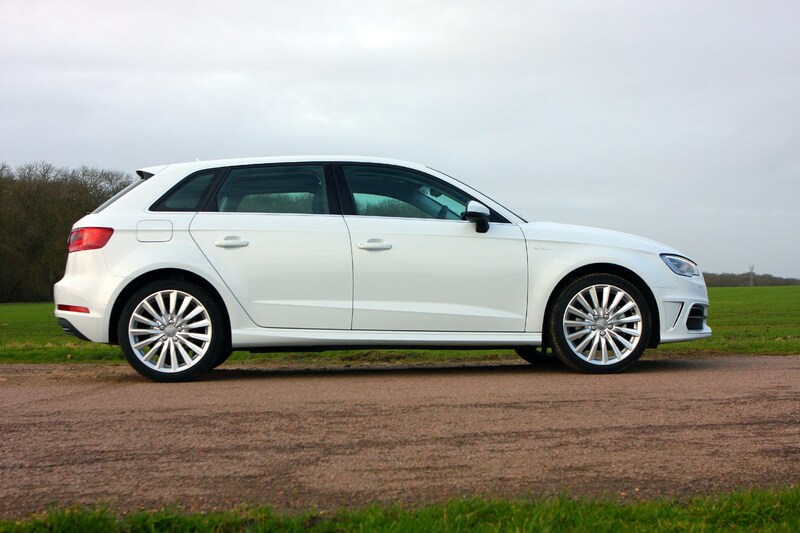 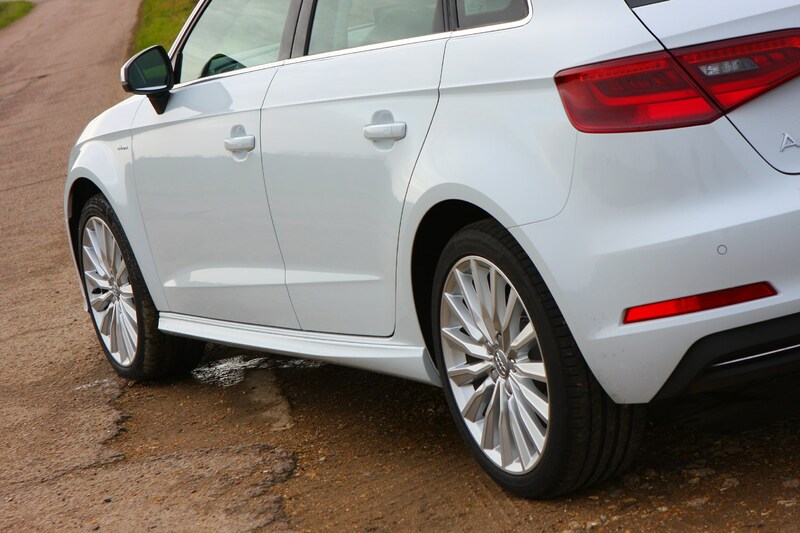 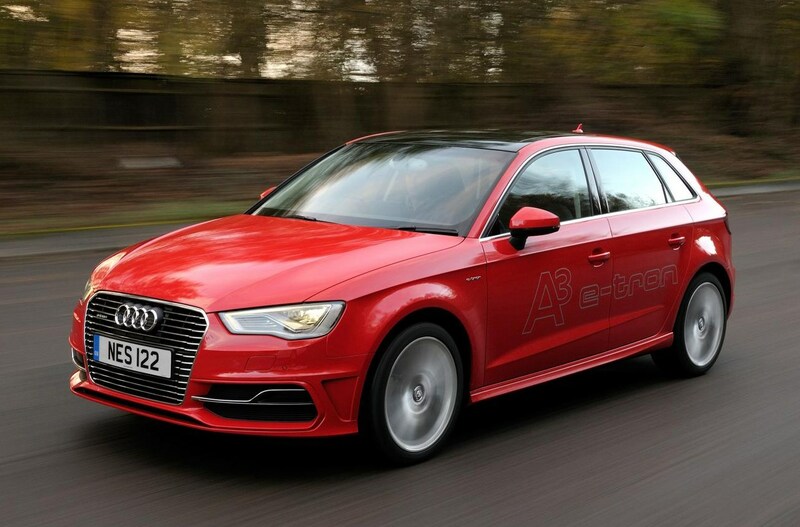 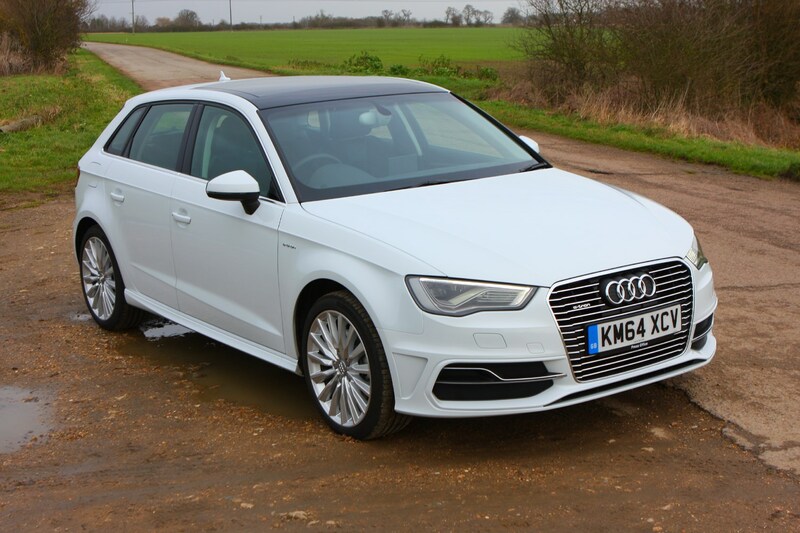 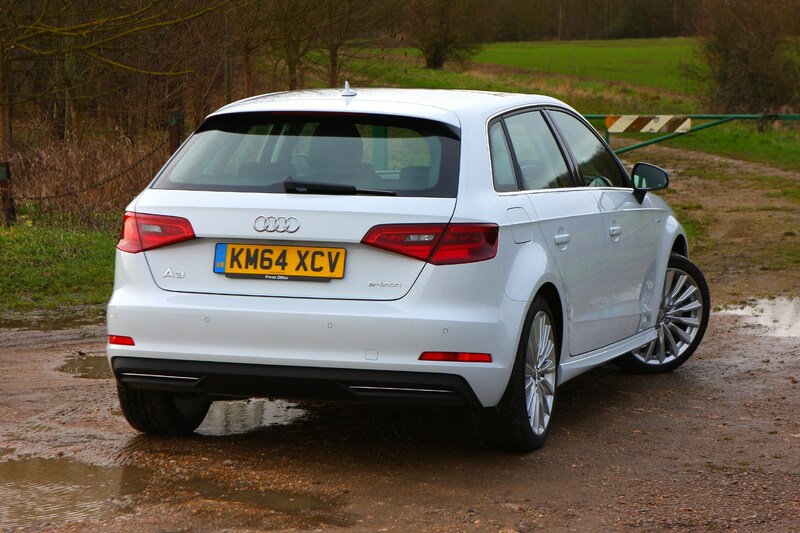 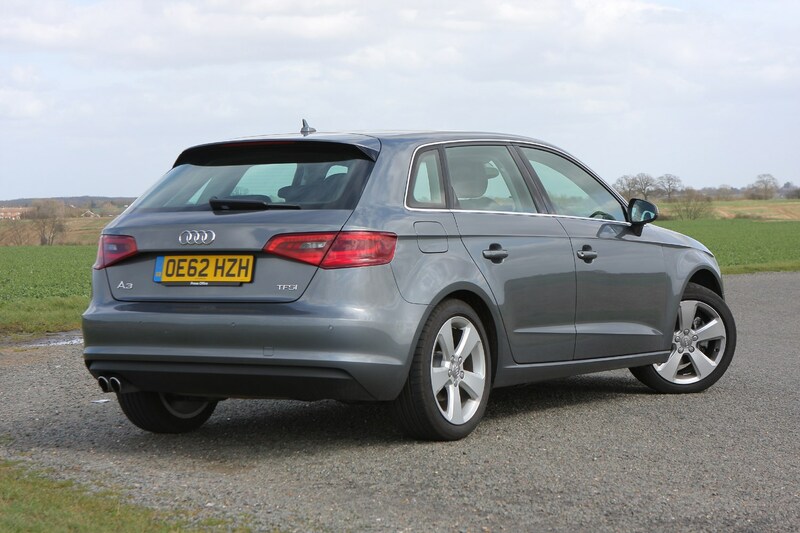 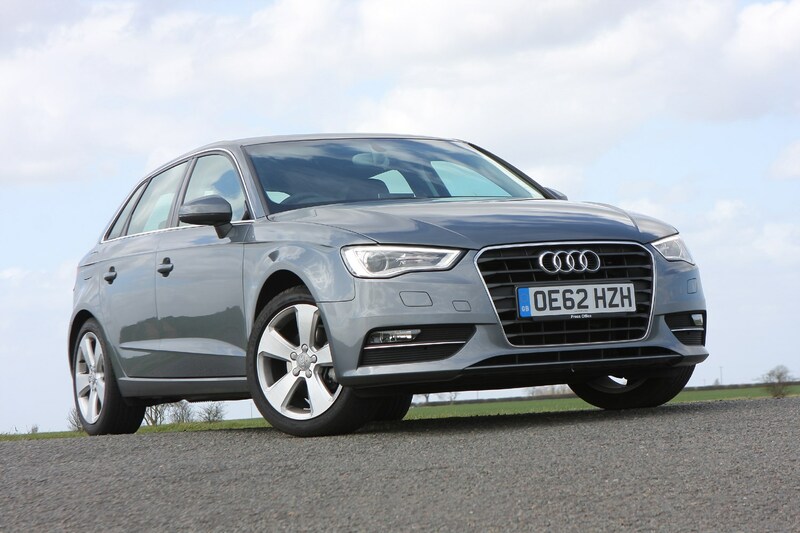 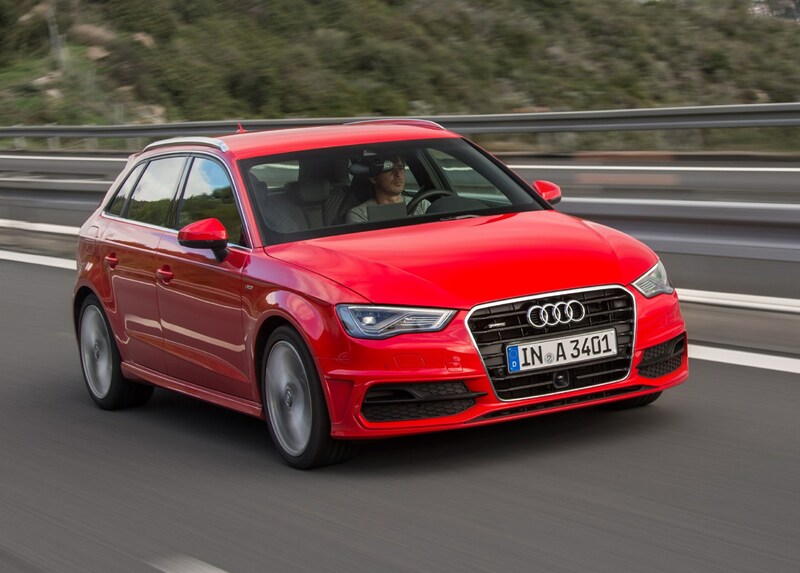 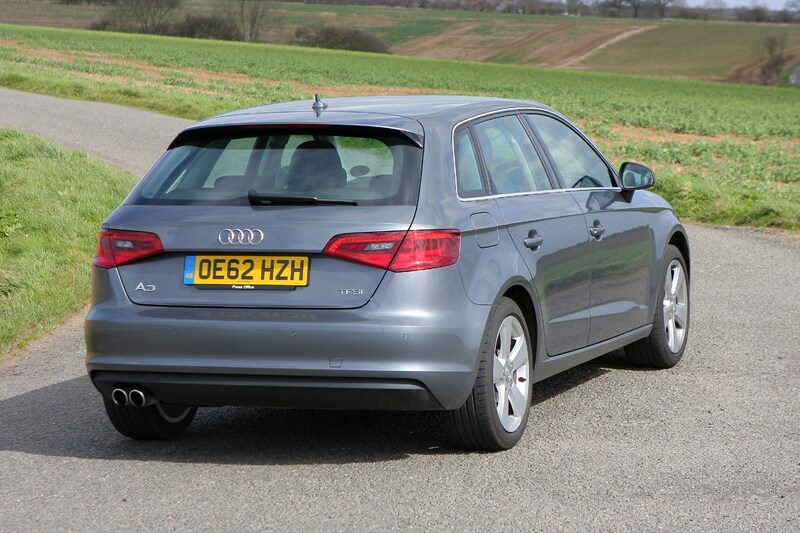 Read the full Audi A3 Sportback review to see if this version suits your lifestyle.